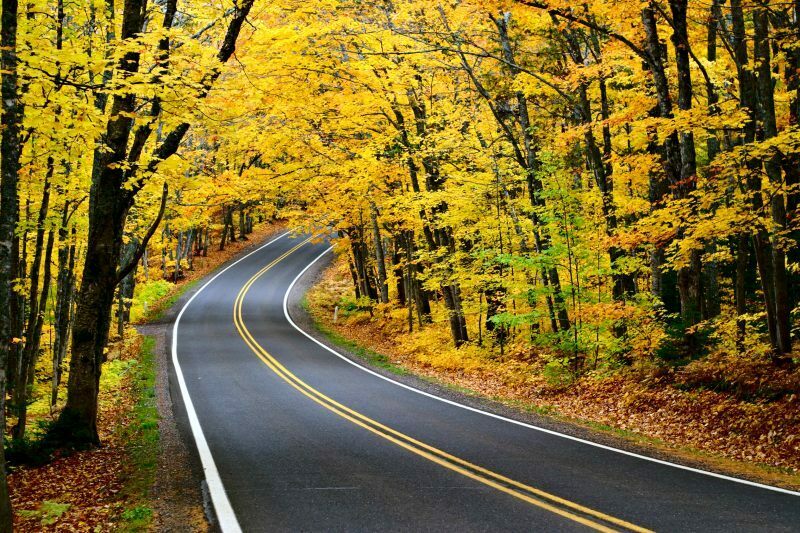 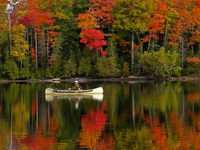 After Labor Day, summer eases into autumn. 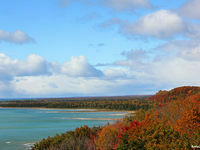 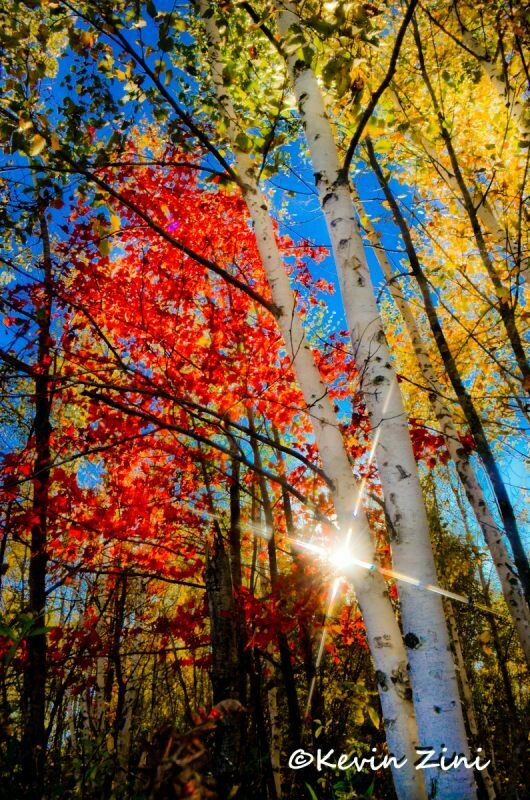 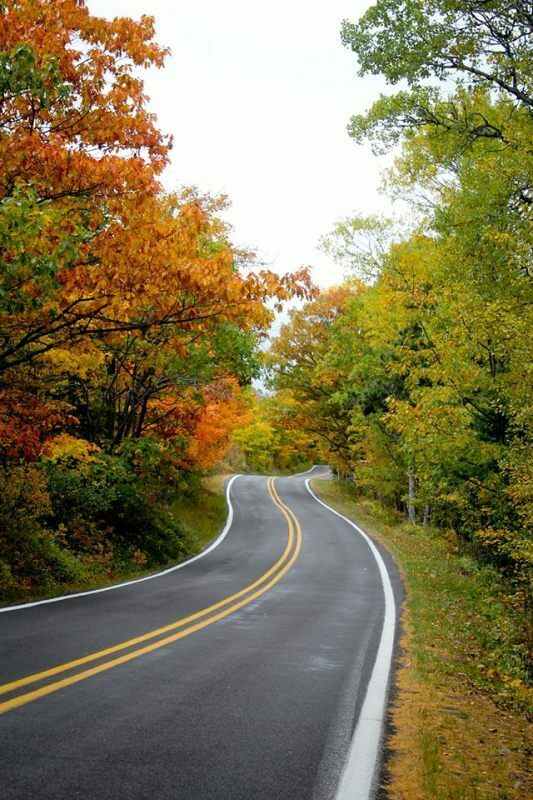 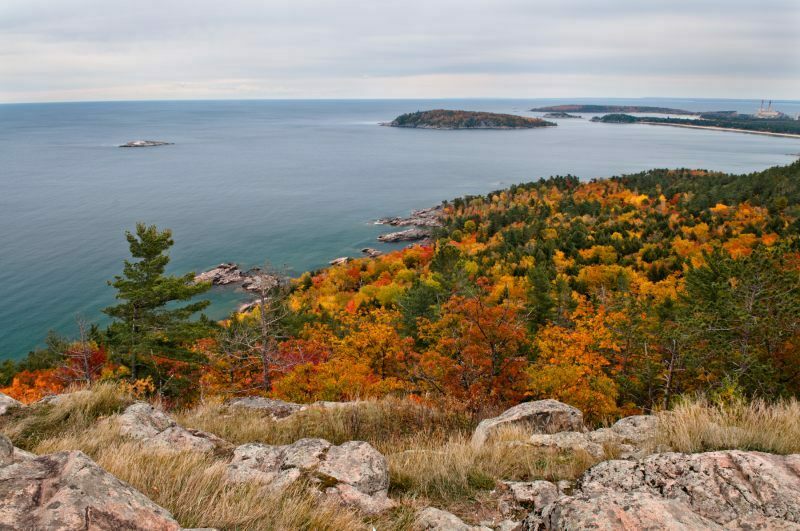 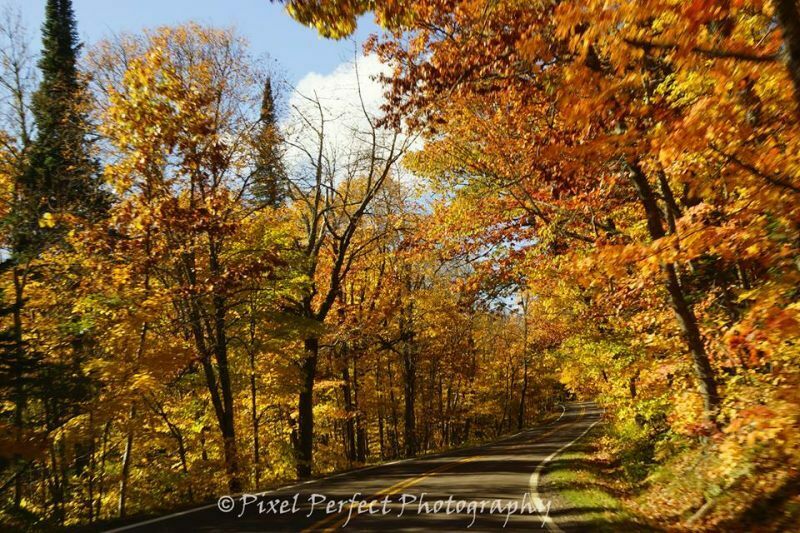 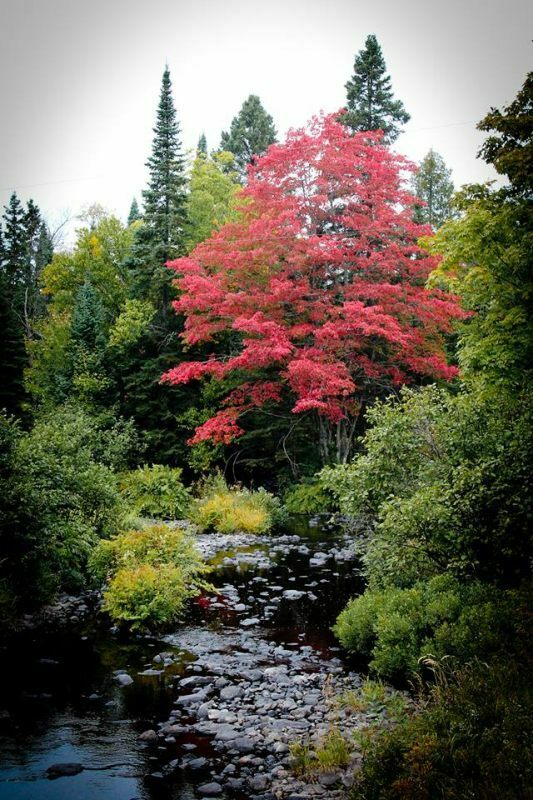 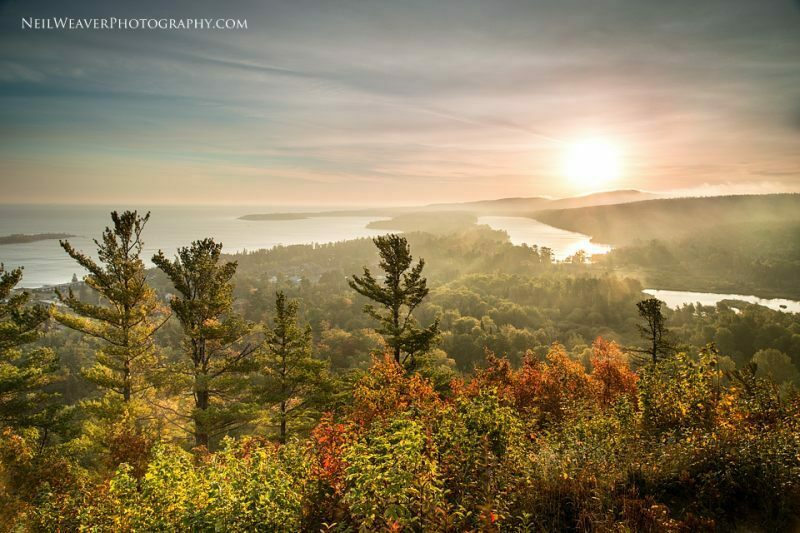 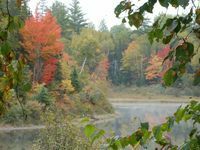 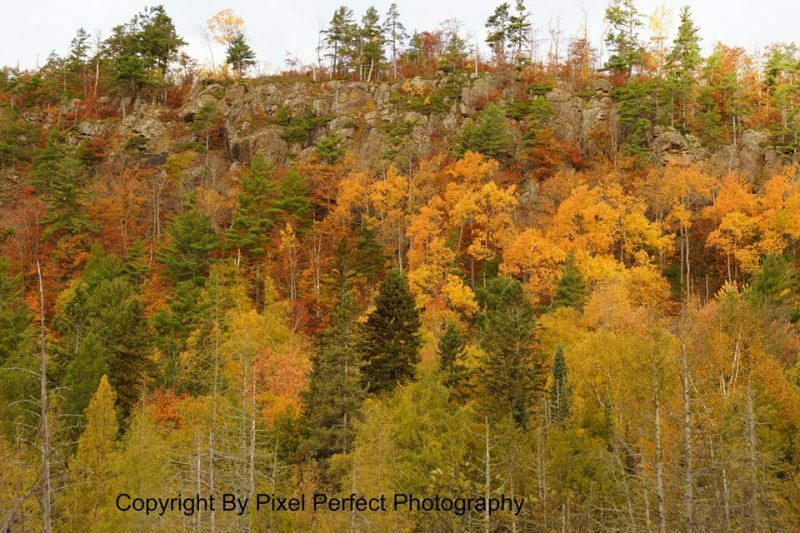 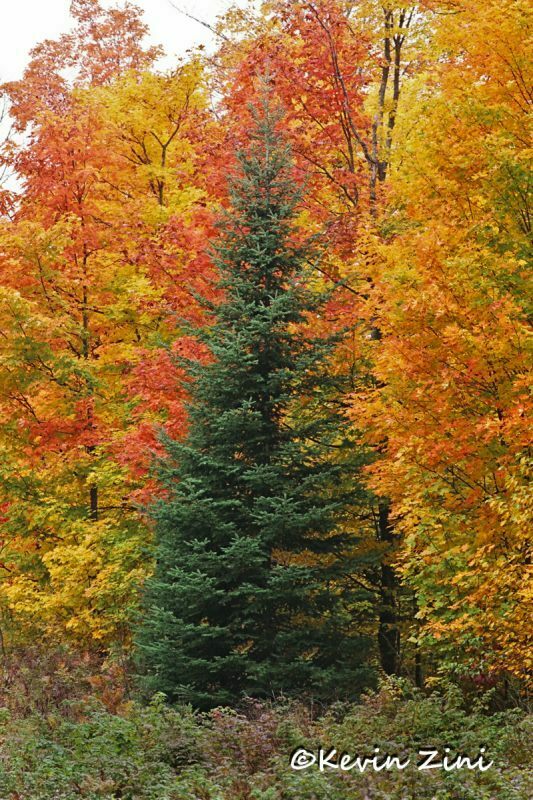 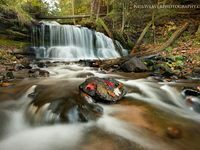 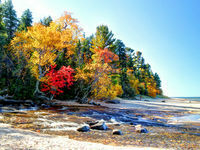 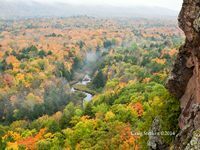 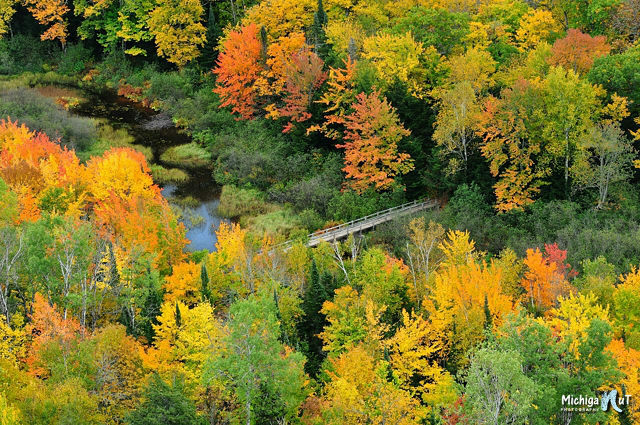 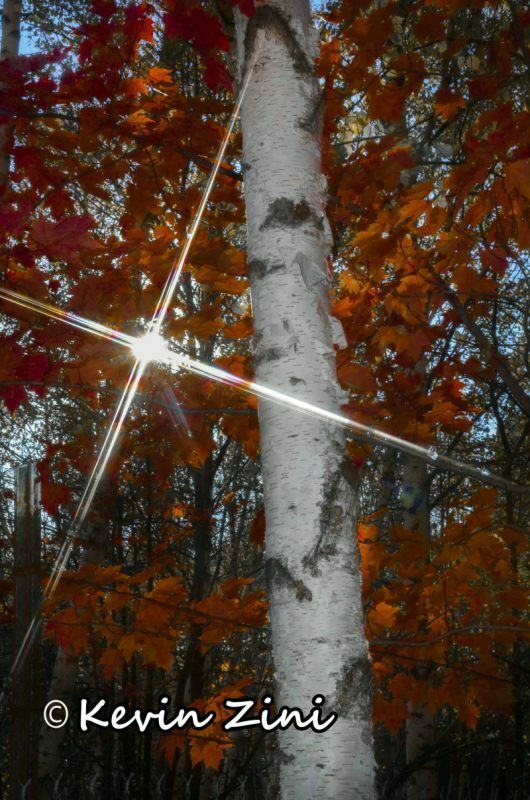 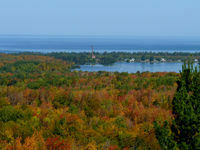 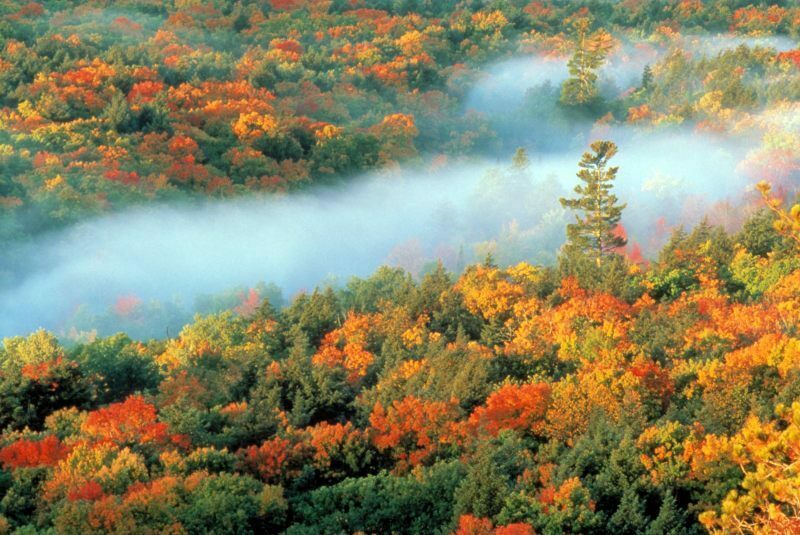 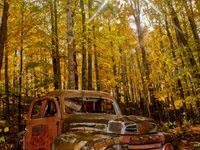 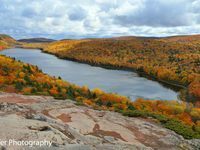 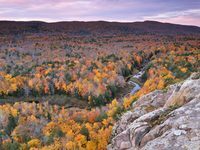 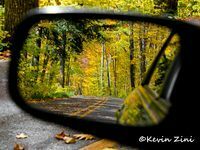 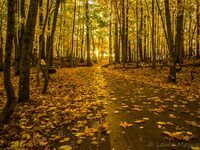 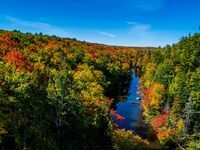 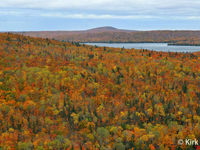 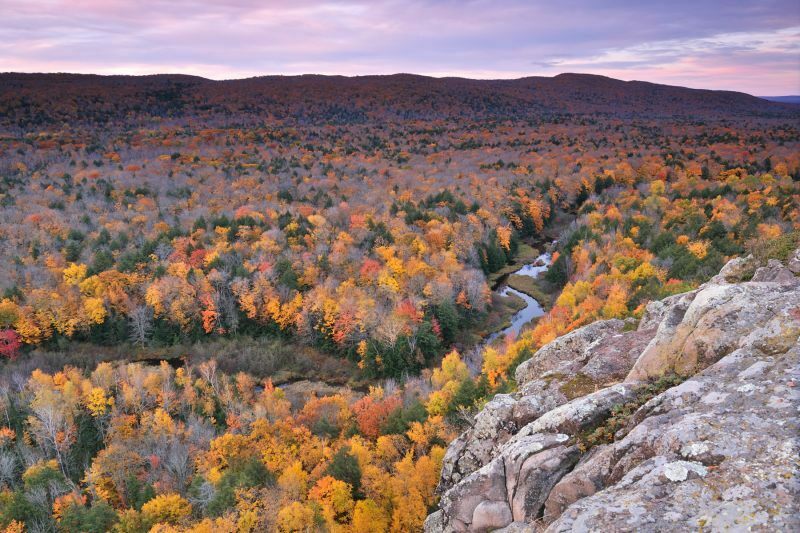 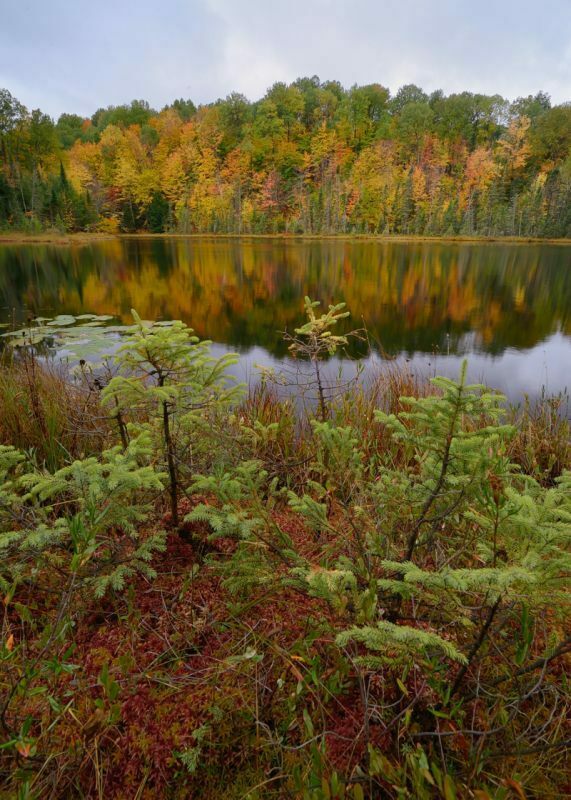 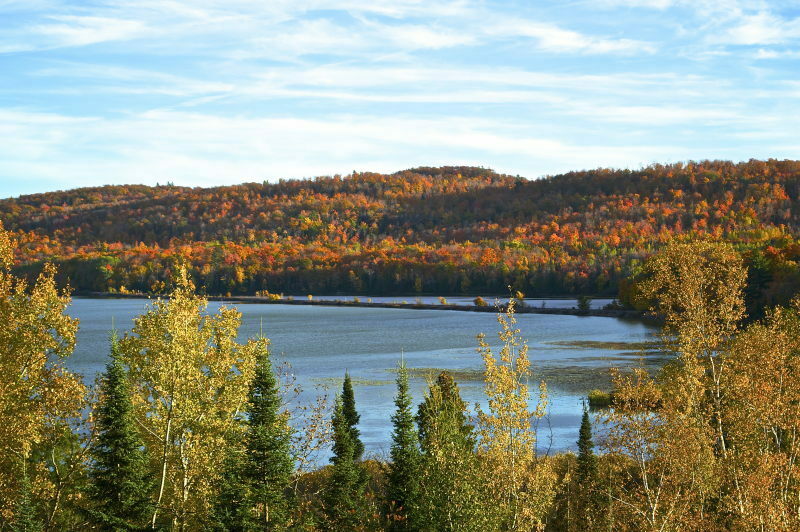 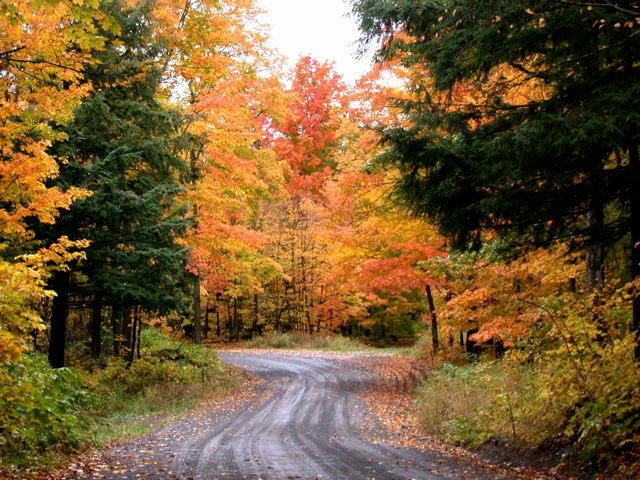 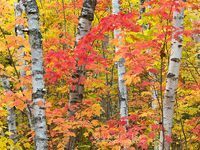 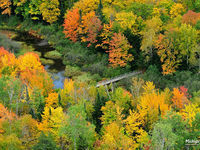 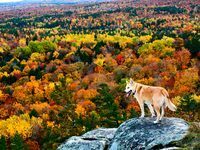 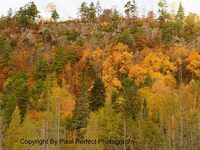 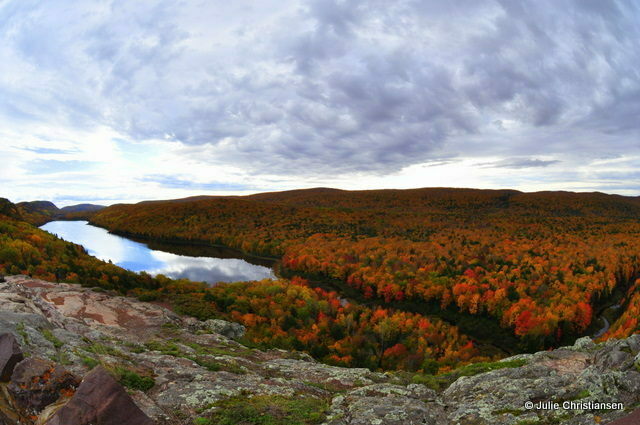 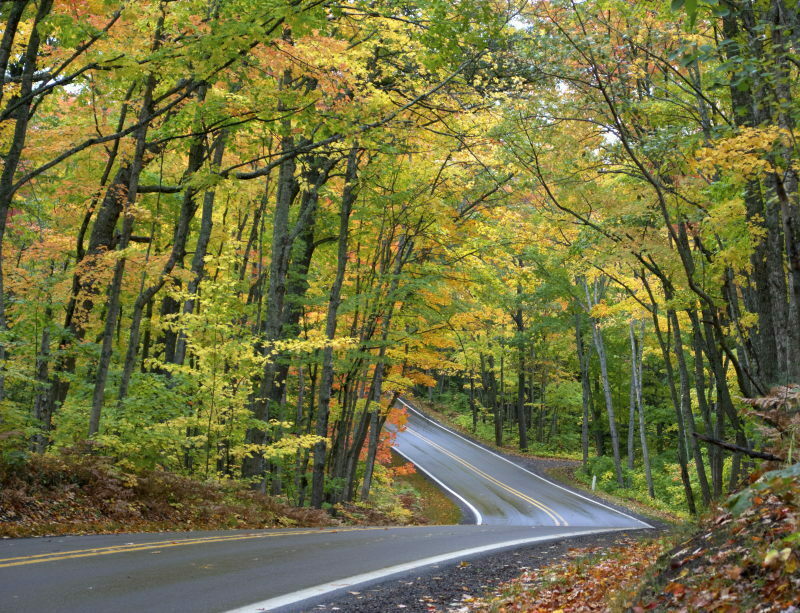 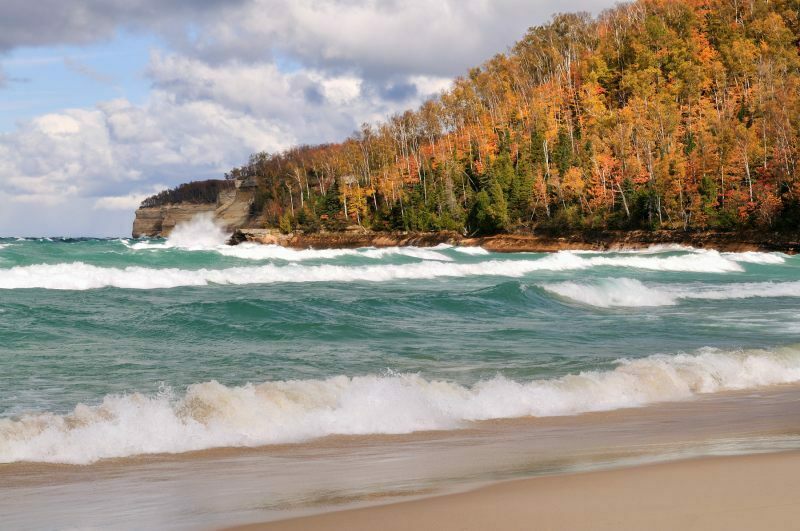 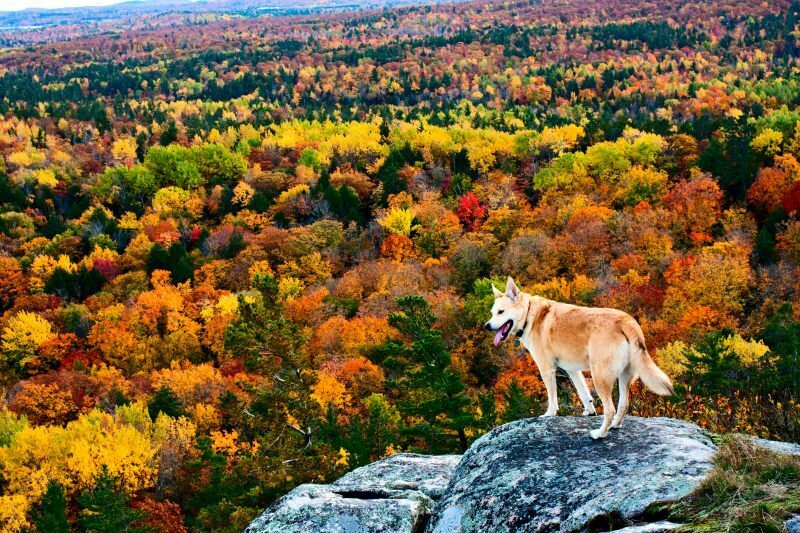 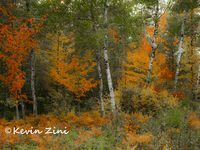 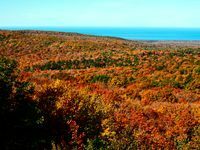 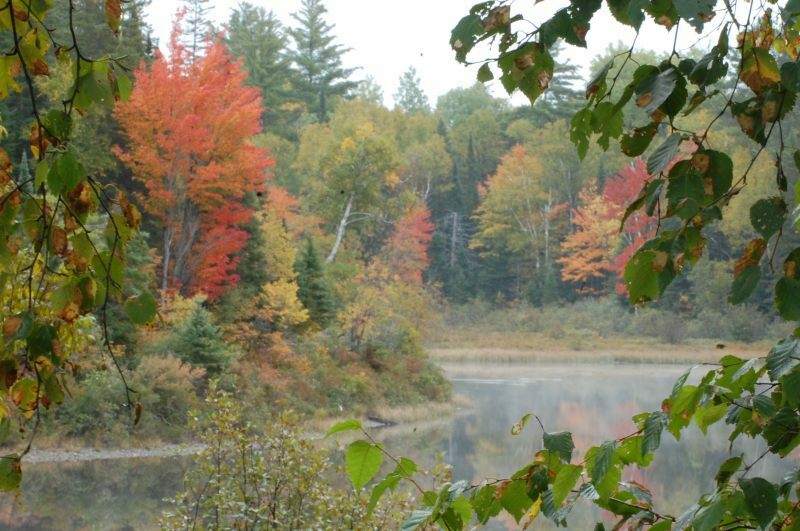 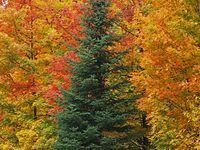 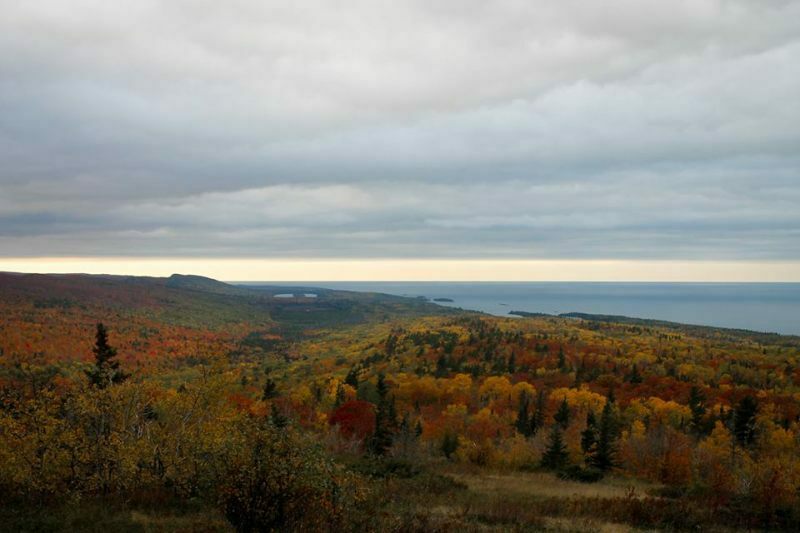 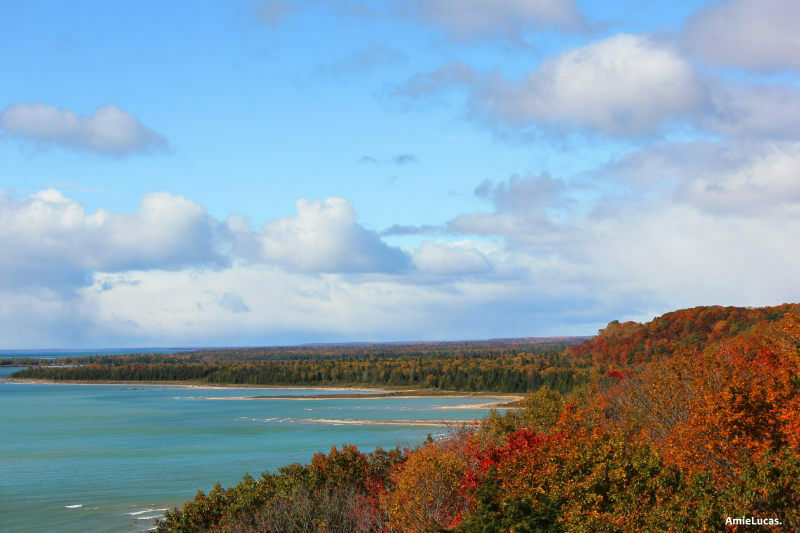 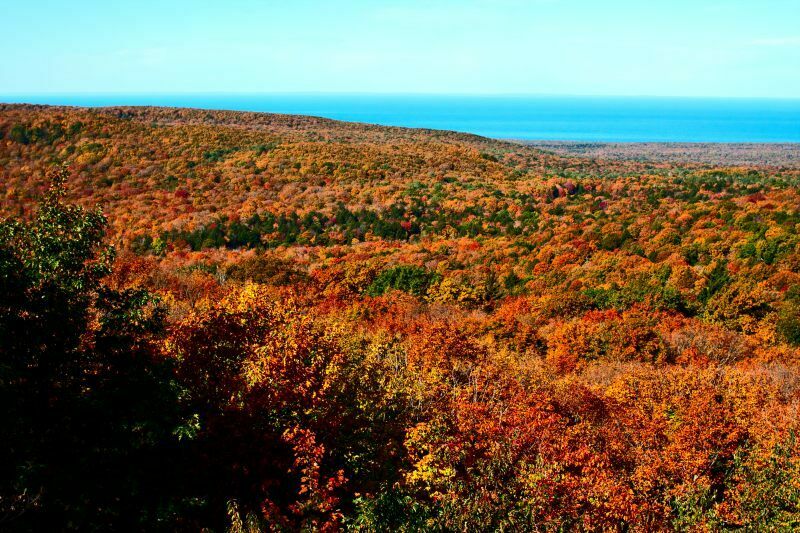 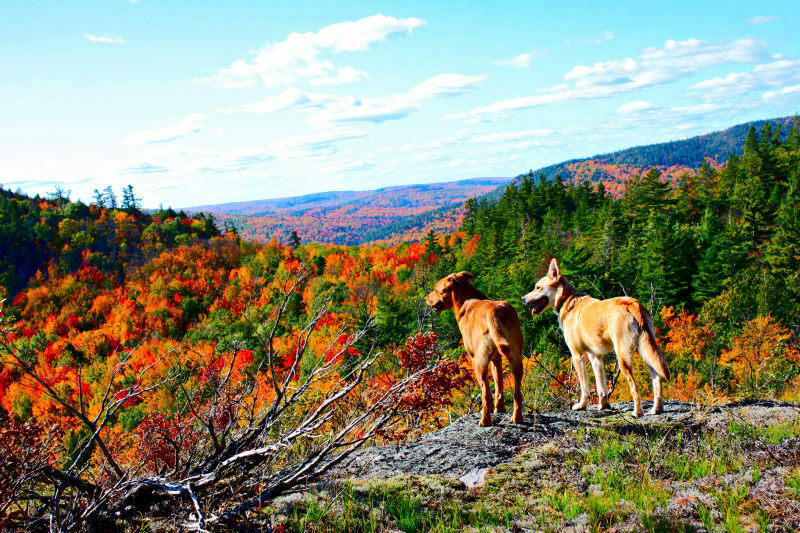 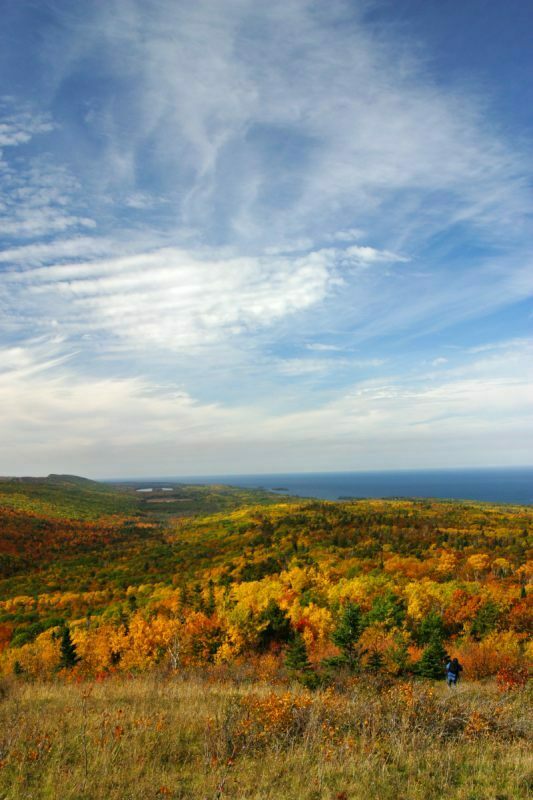 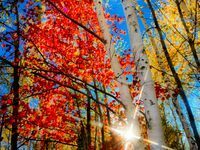 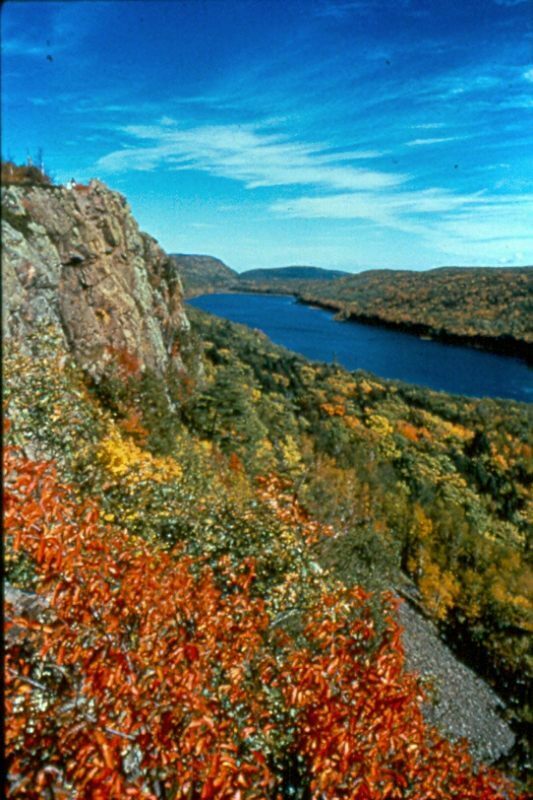 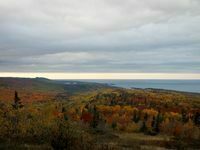 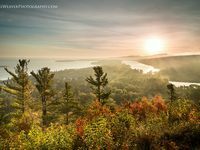 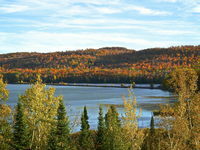 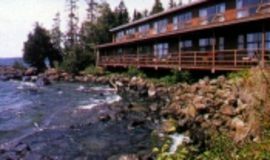 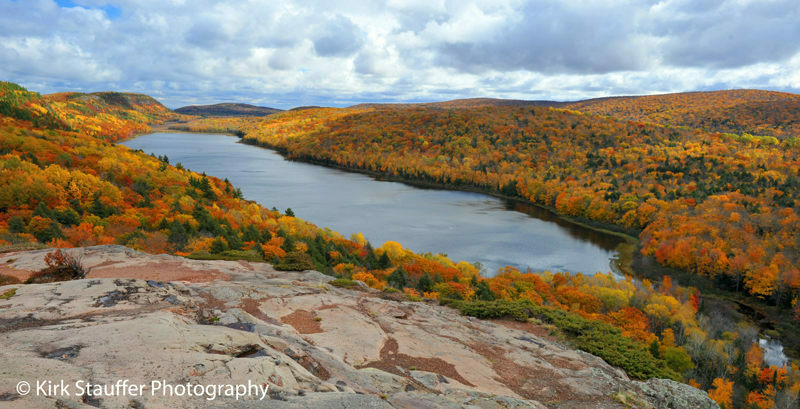 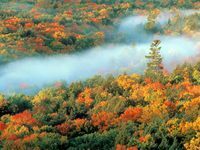 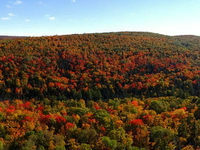 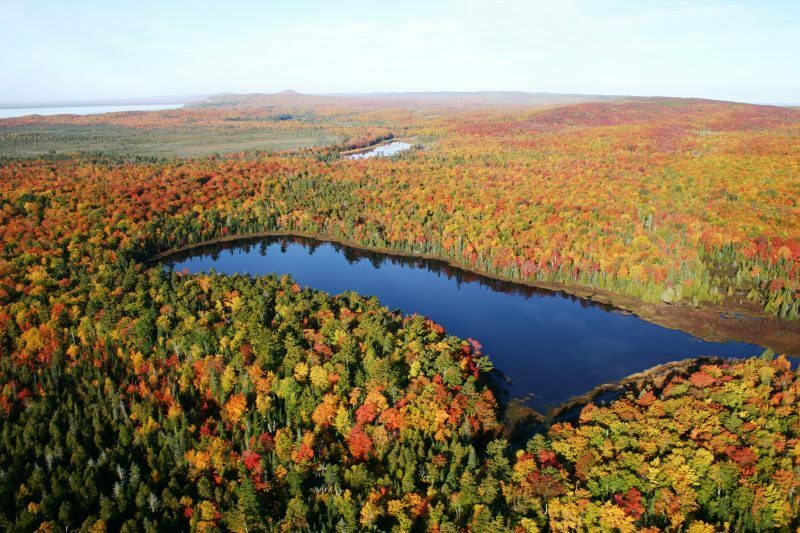 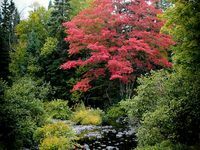 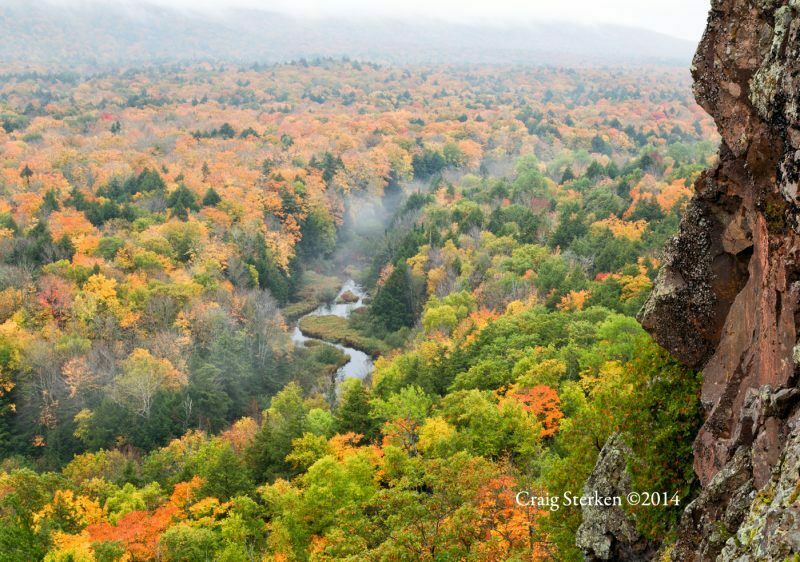 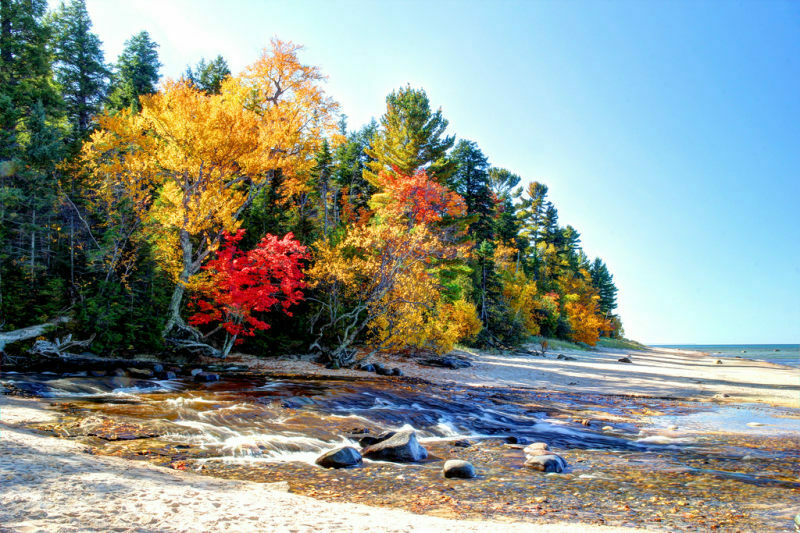 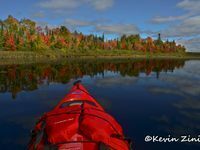 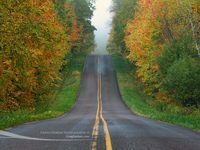 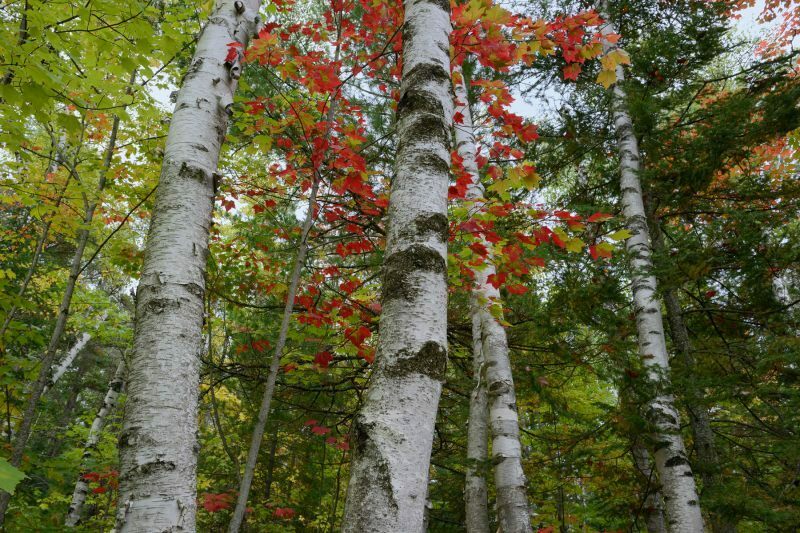 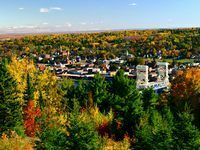 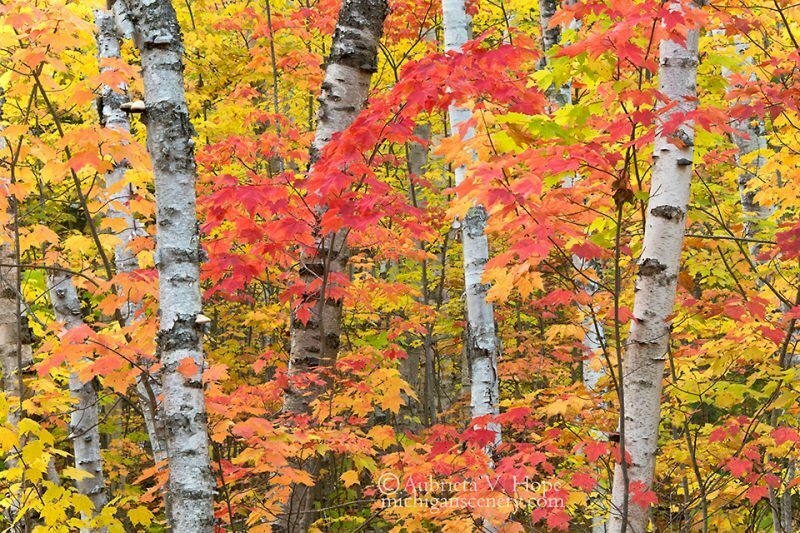 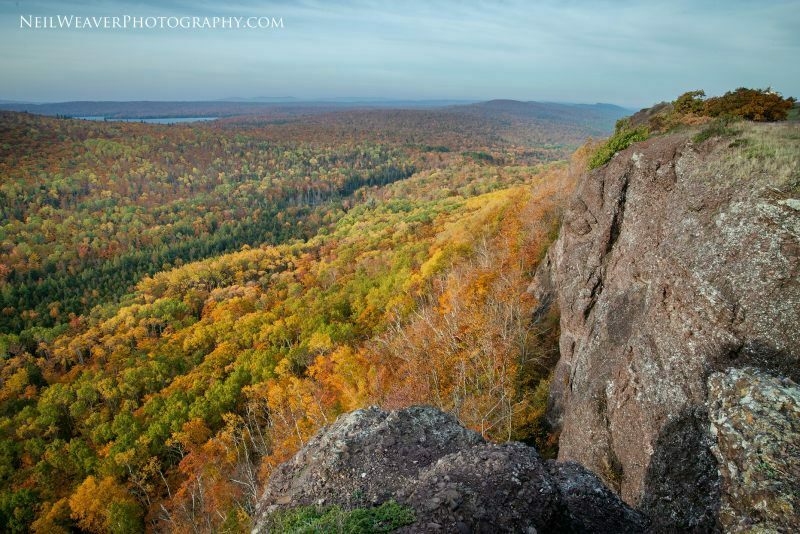 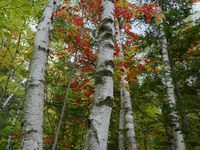 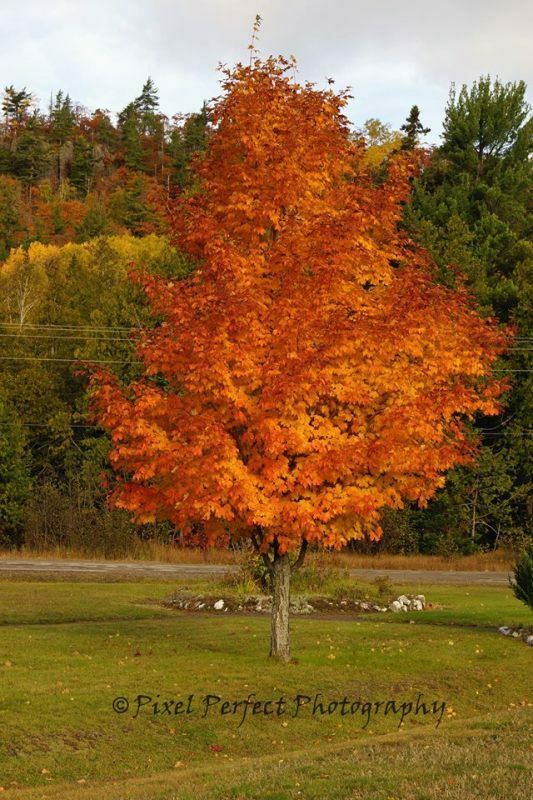 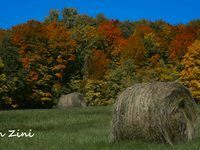 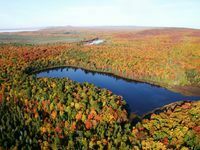 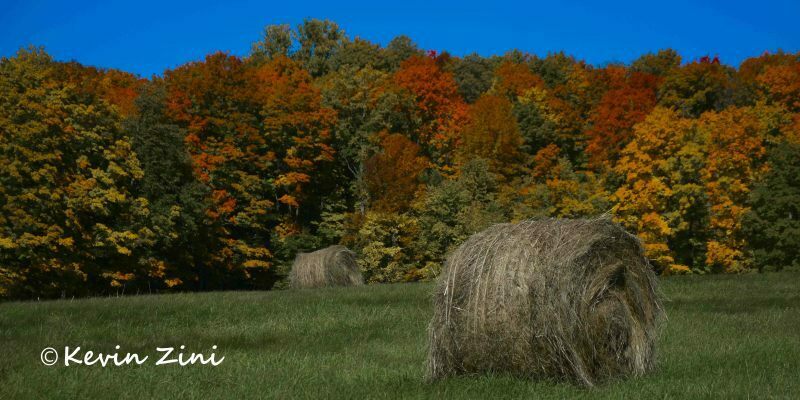 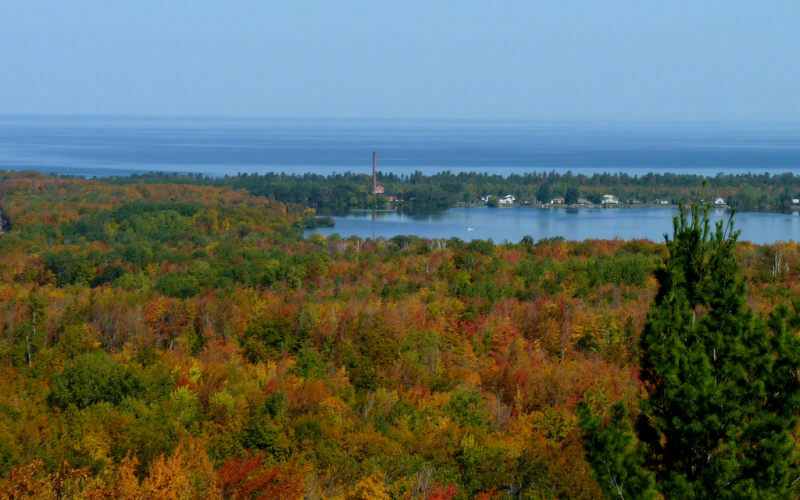 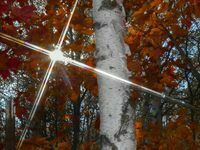 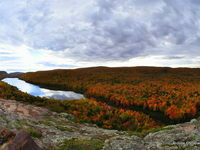 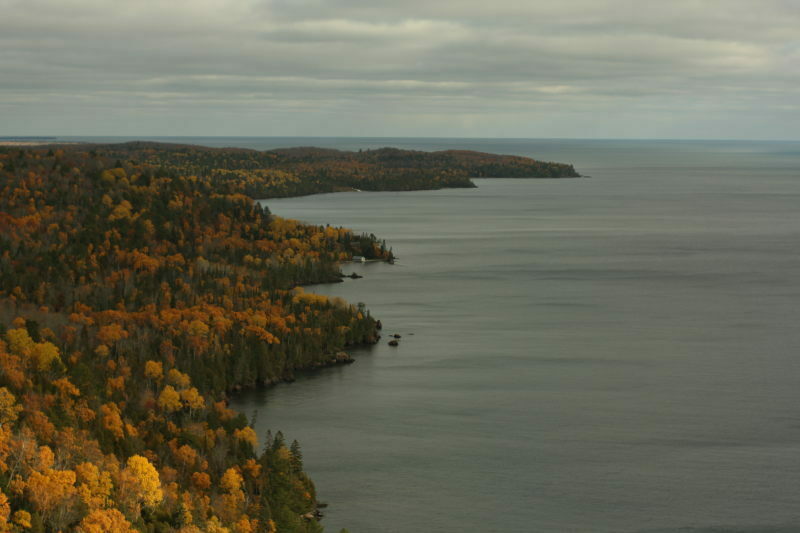 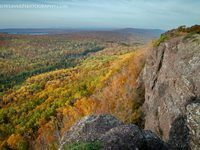 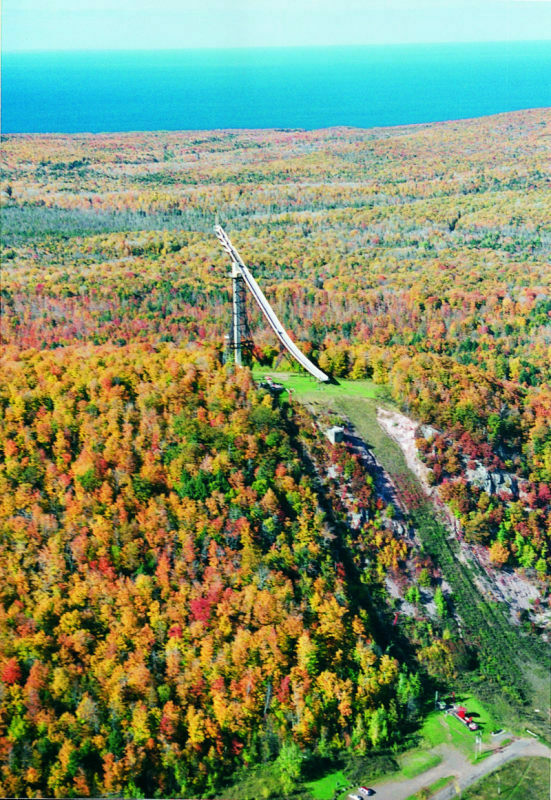 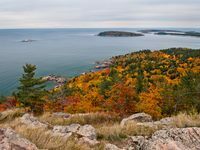 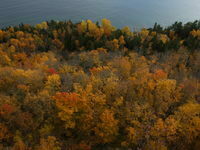 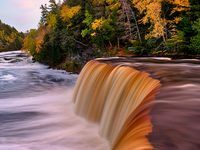 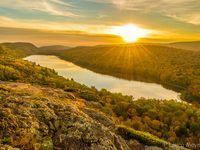 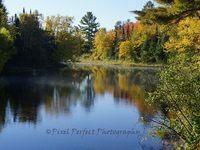 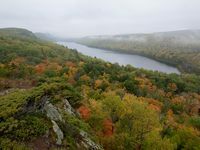 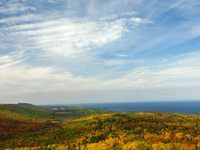 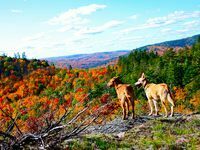 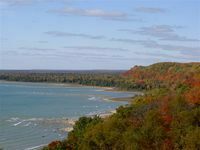 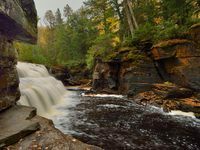 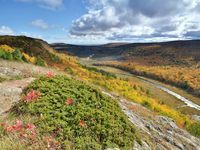 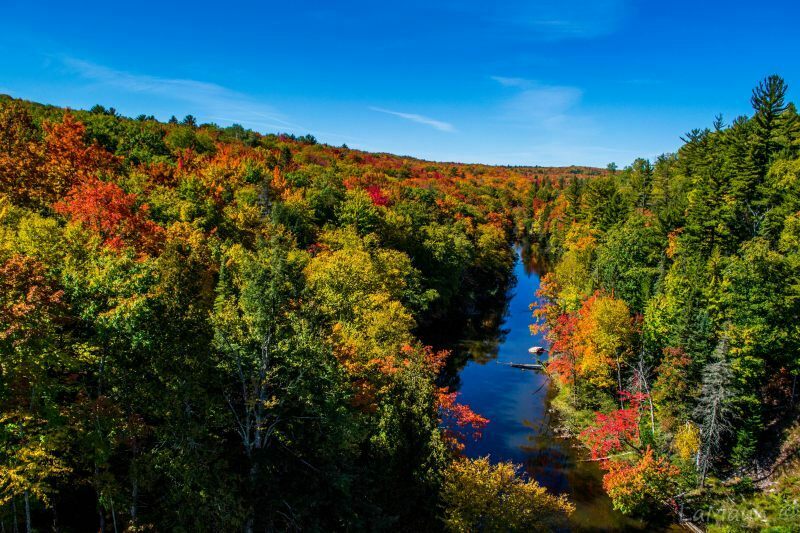 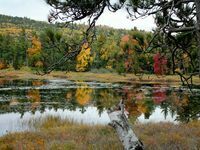 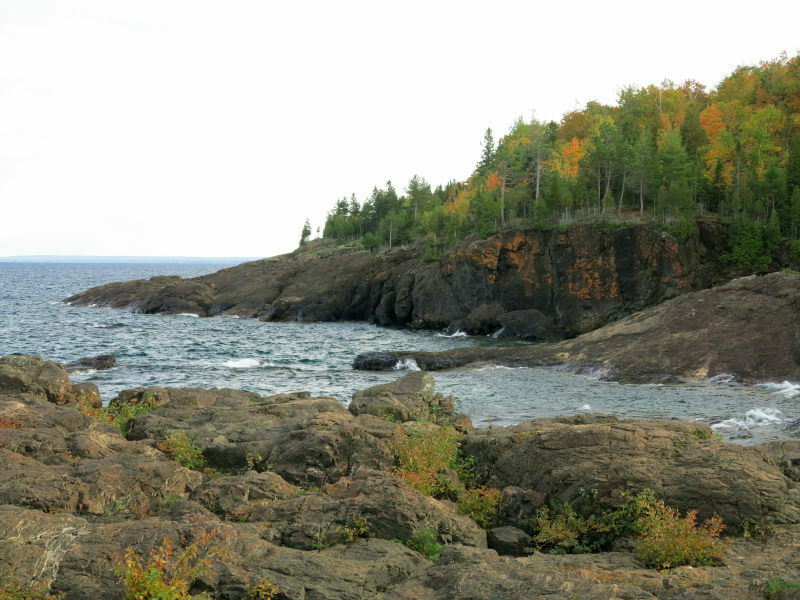 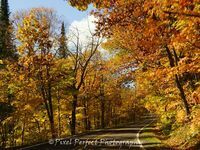 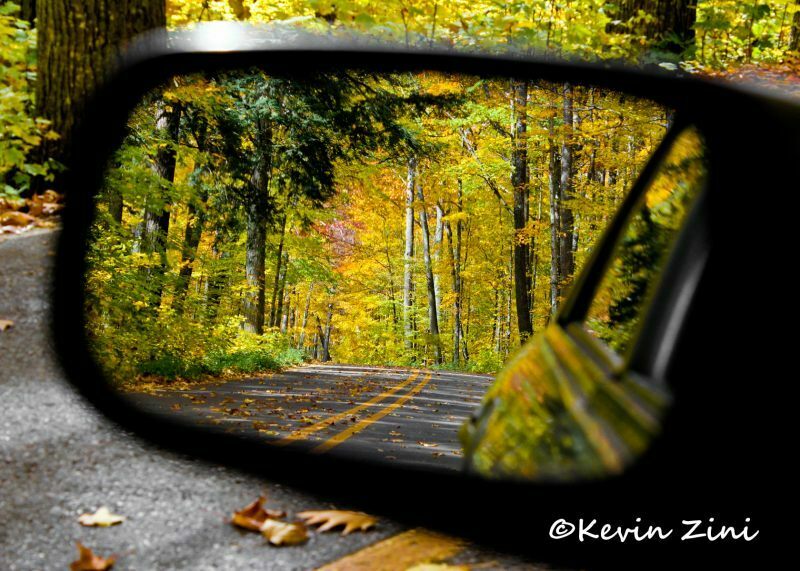 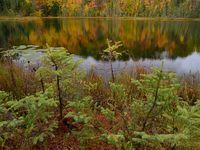 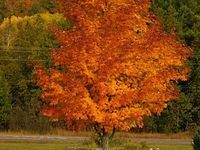 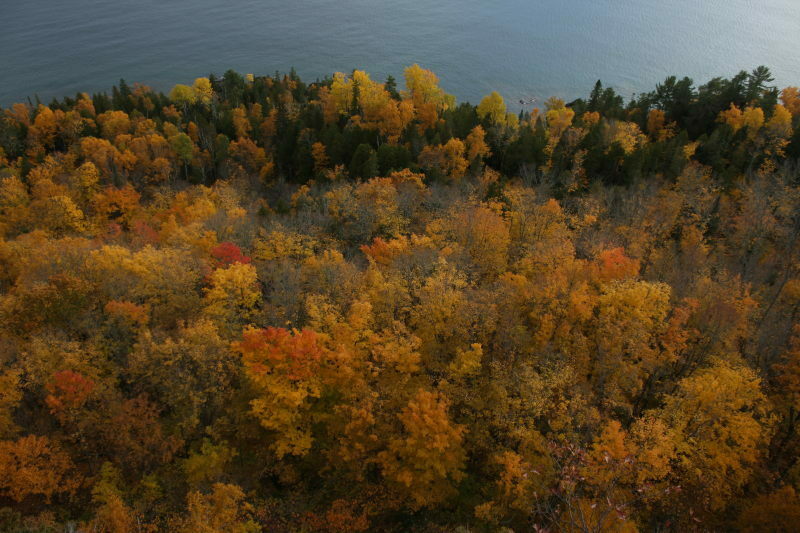 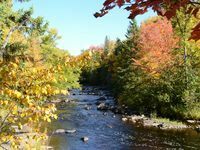 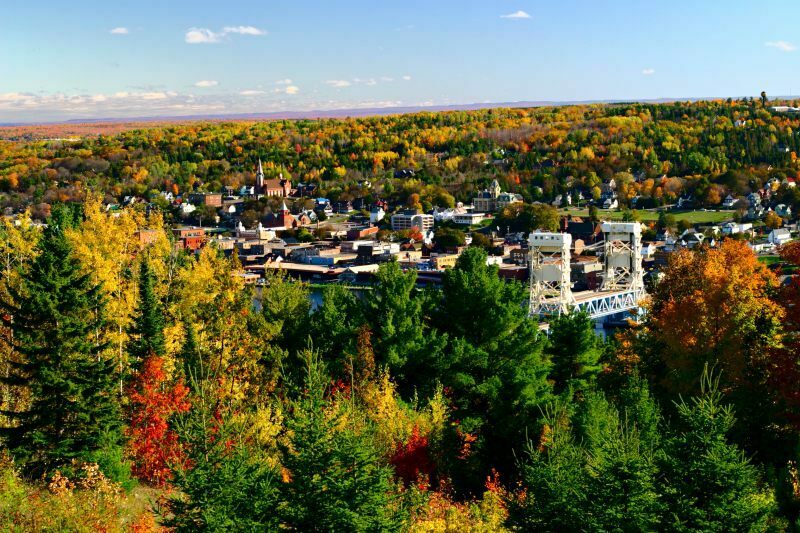 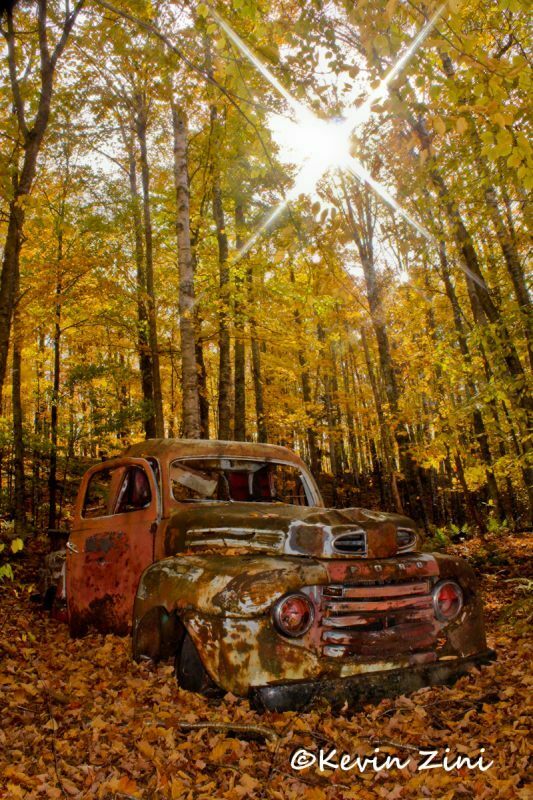 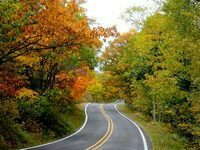 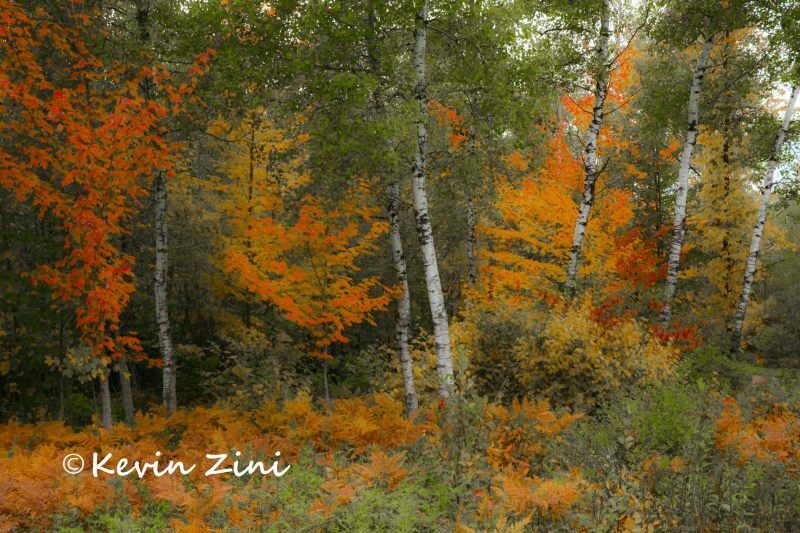 The cooler nights transform the U.P.’s green hardwood forests into fiery hues of topaz yellow, copper orange and ruby red. 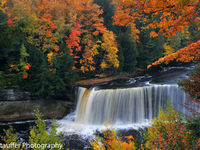 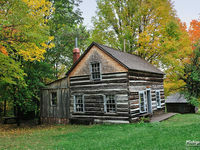 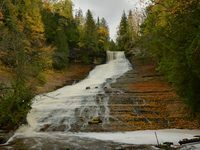 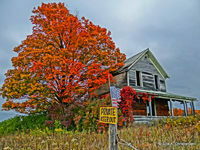 There are 10 color tours posted at www.UPtravel.com/fallcolor. 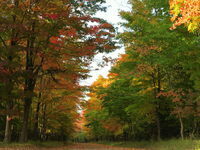 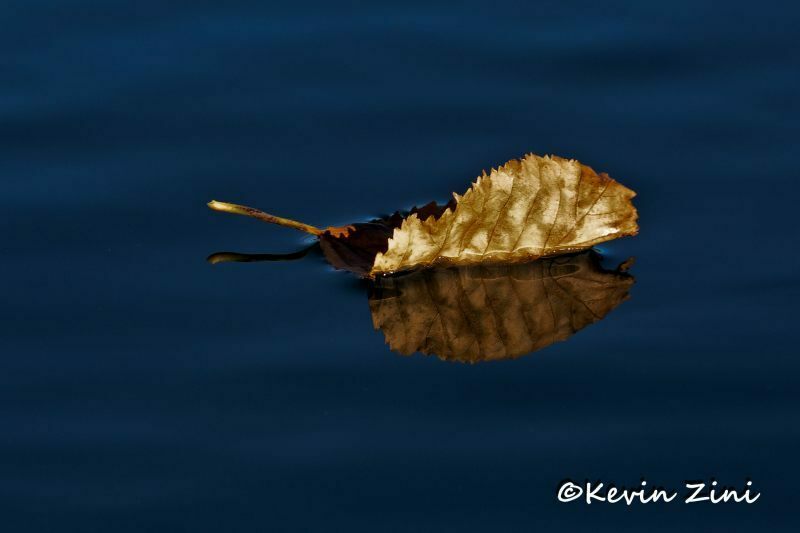 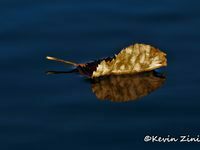 Peak leaf viewing is mid September to mid October. 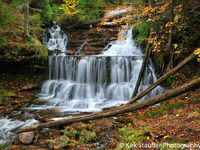 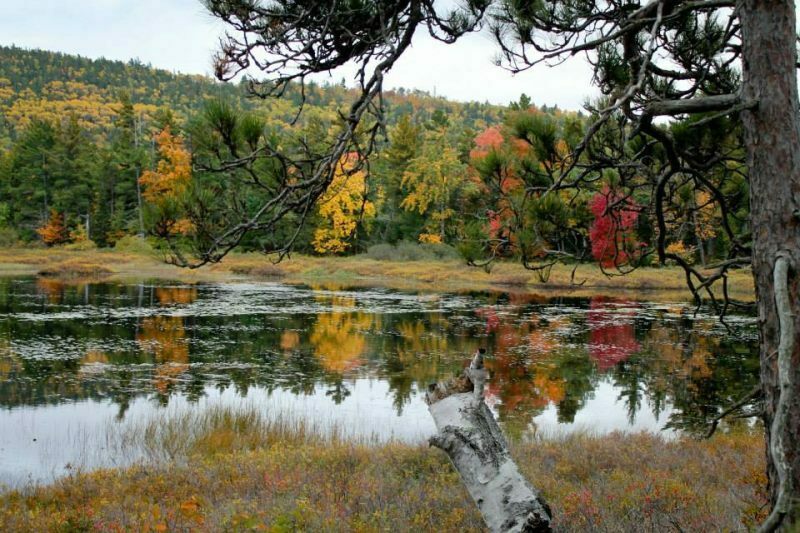 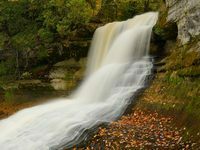 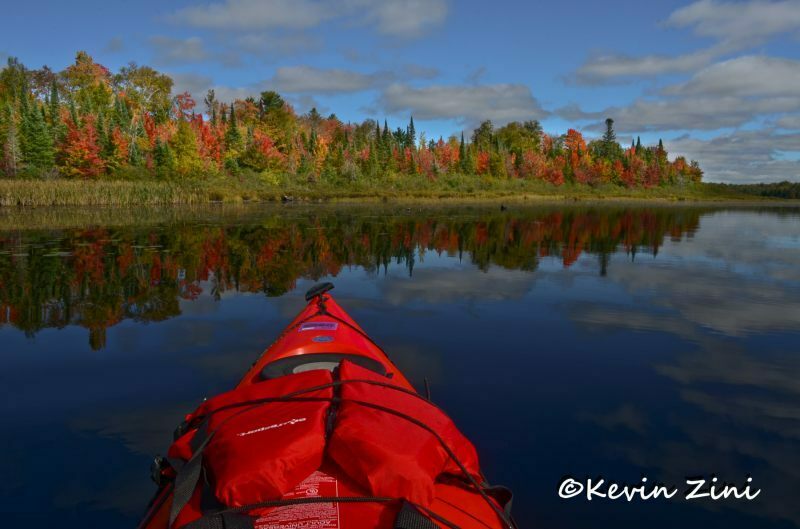 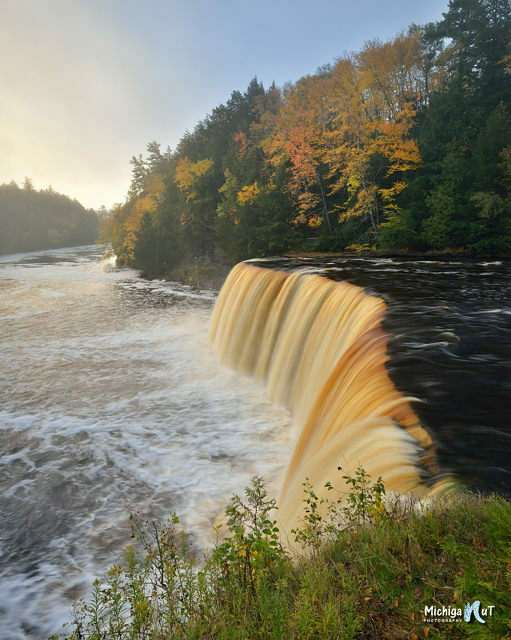 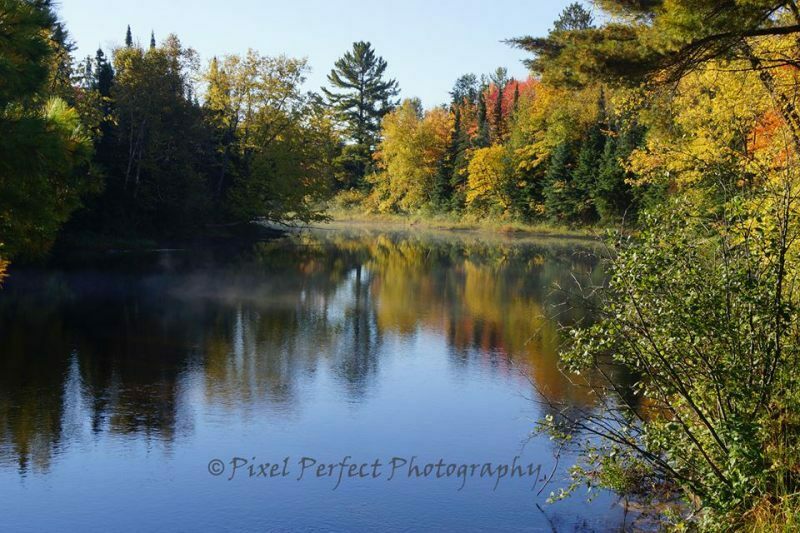 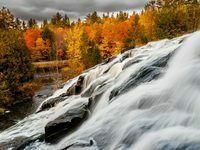 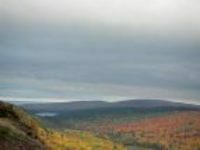 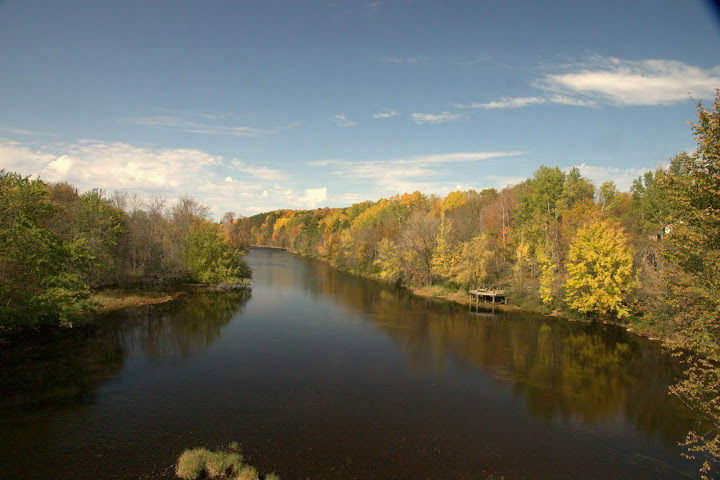 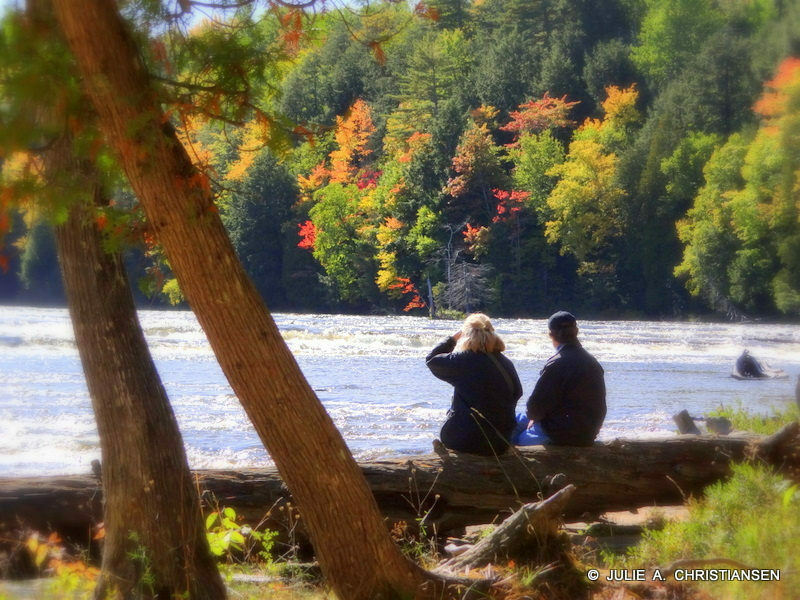 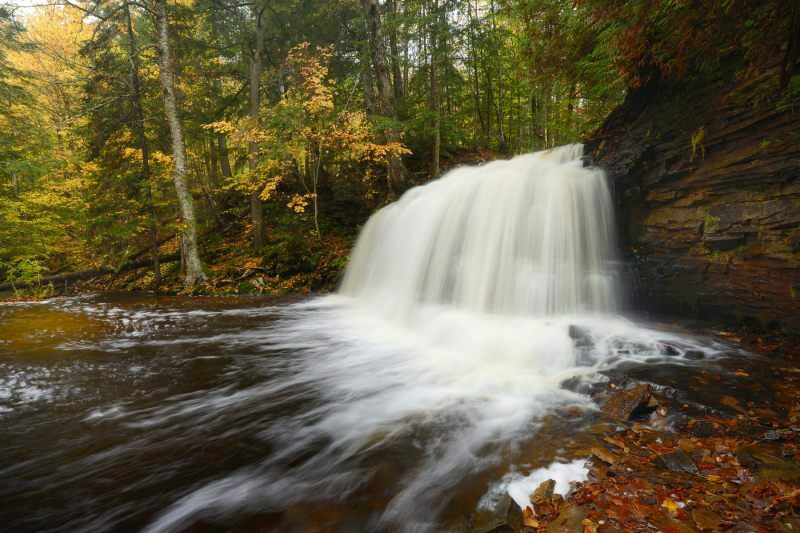 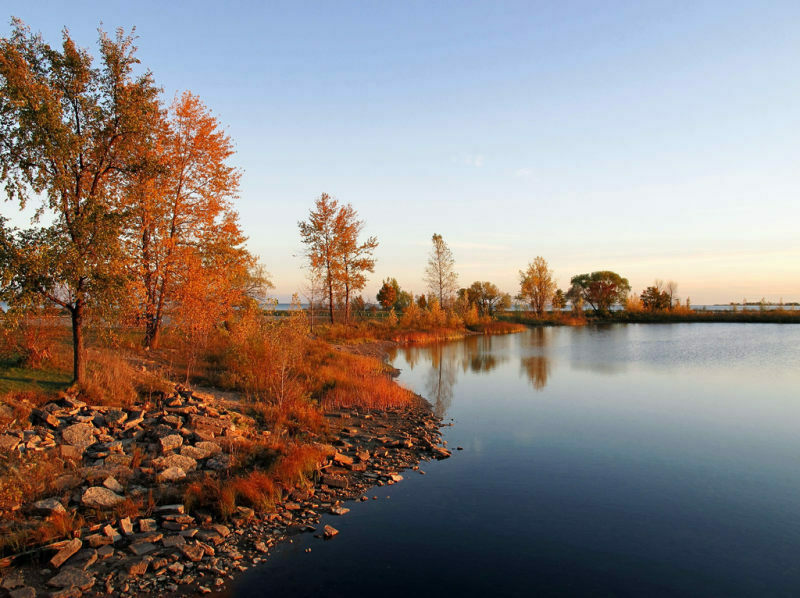 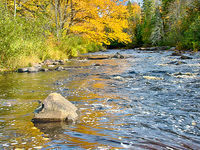 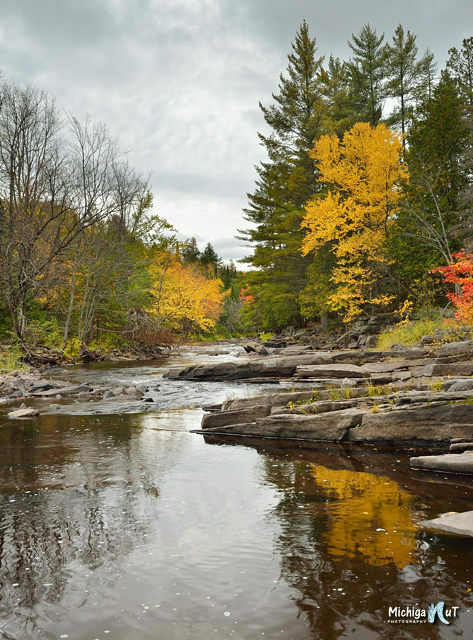 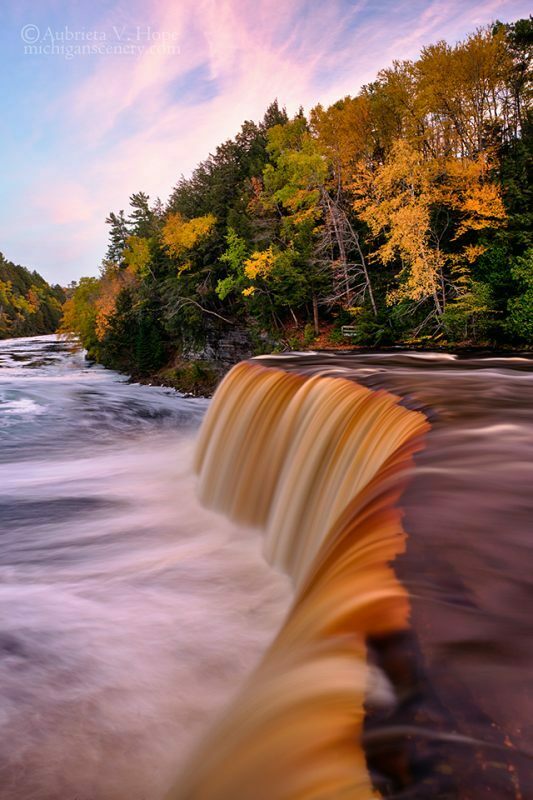 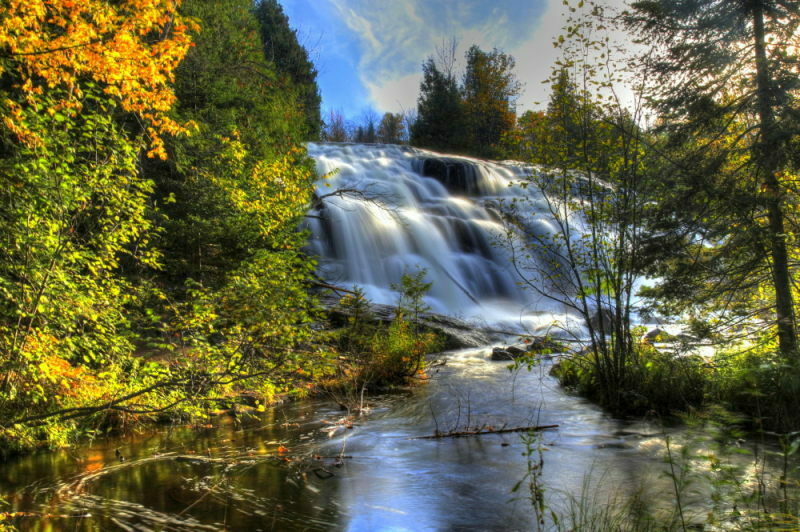 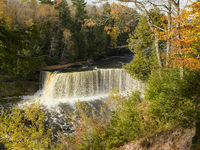 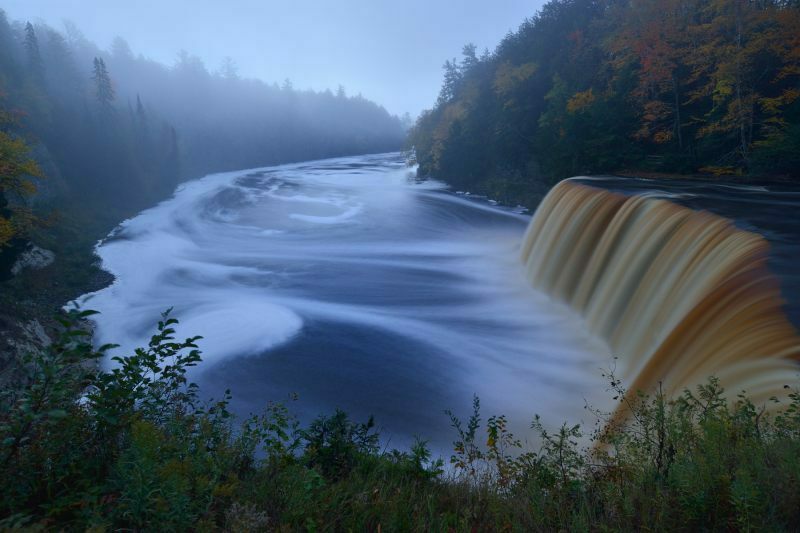 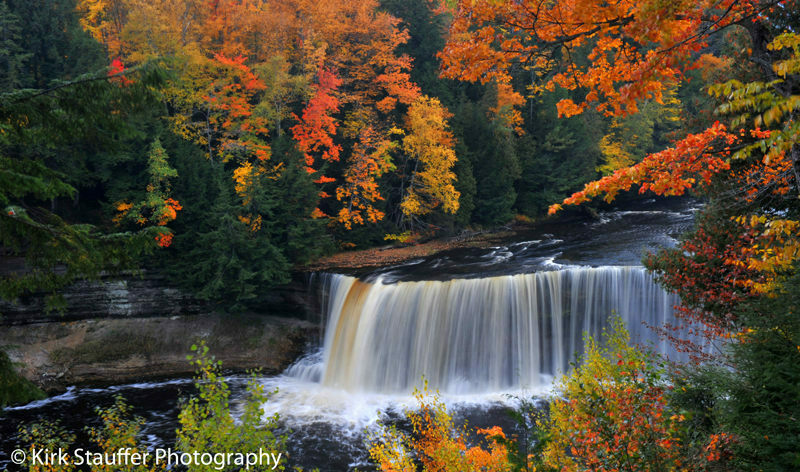 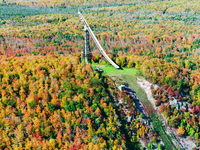 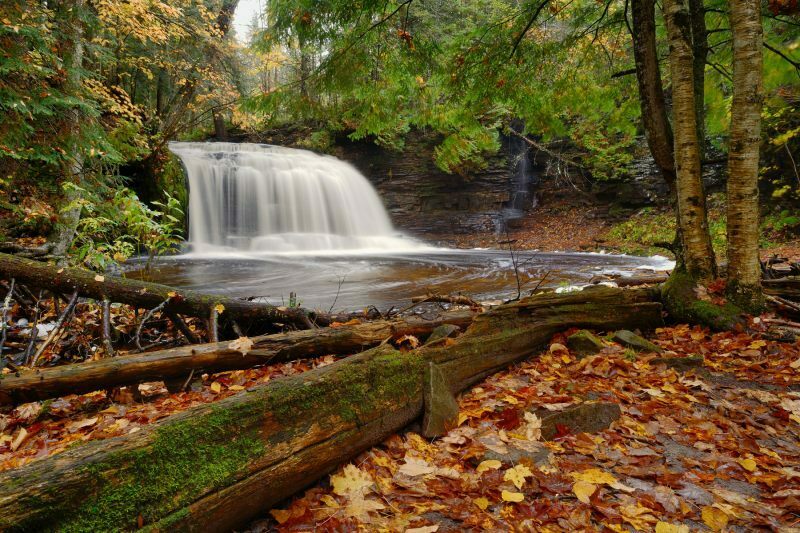 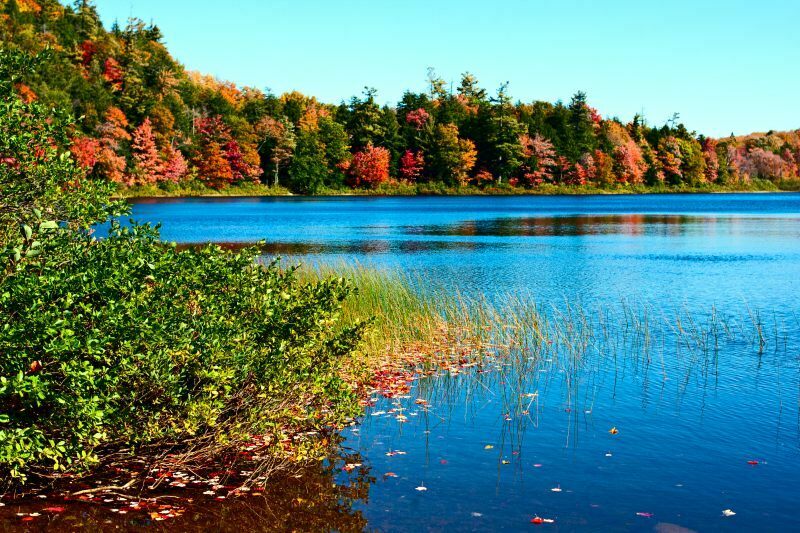 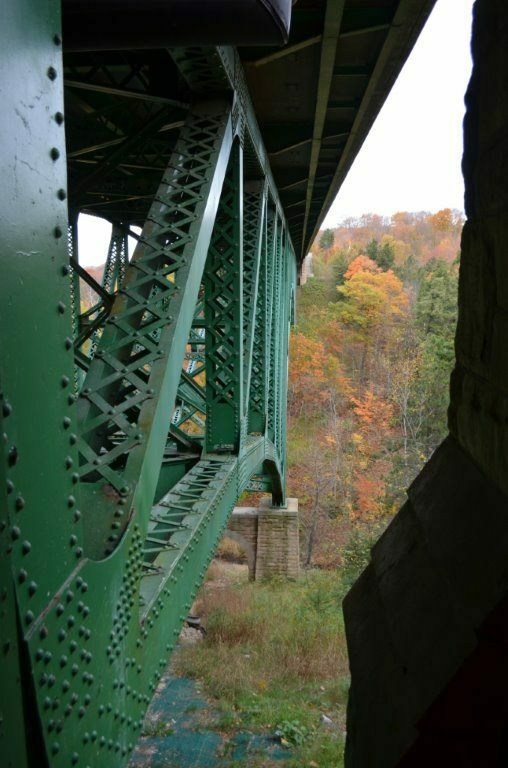 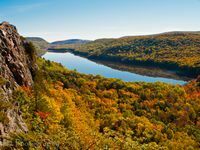 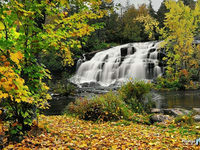 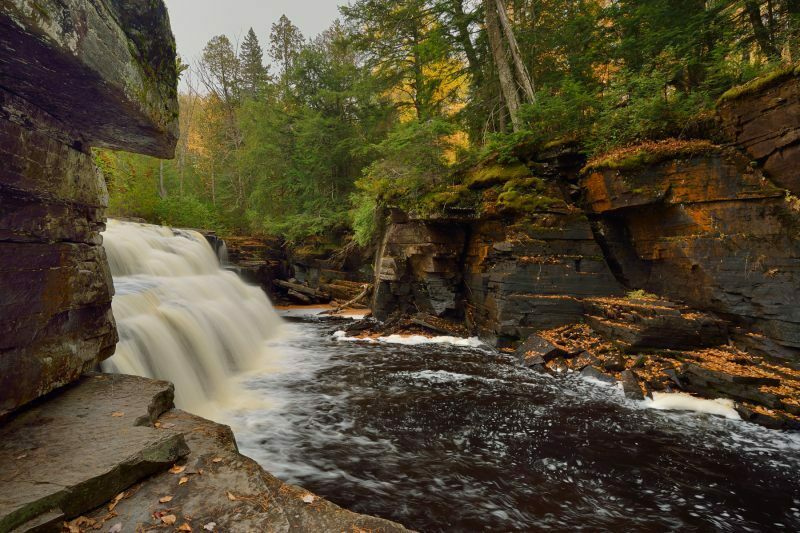 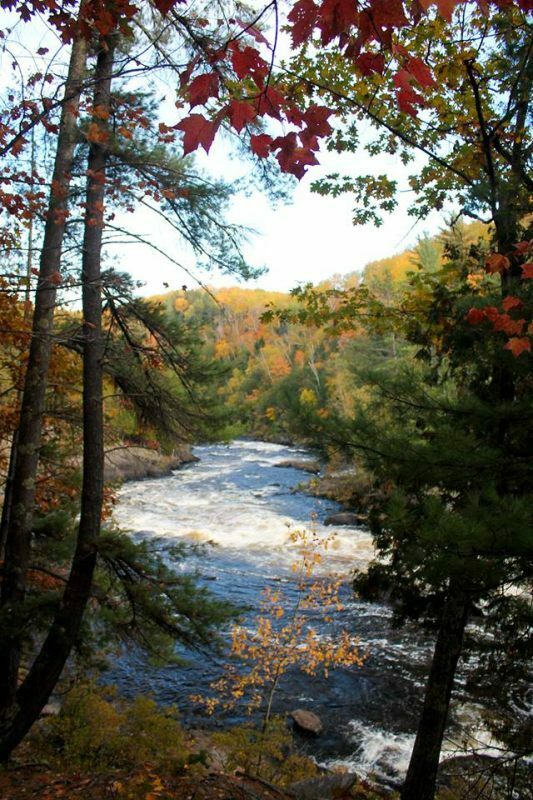 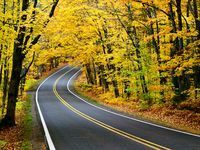 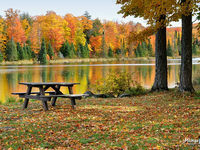 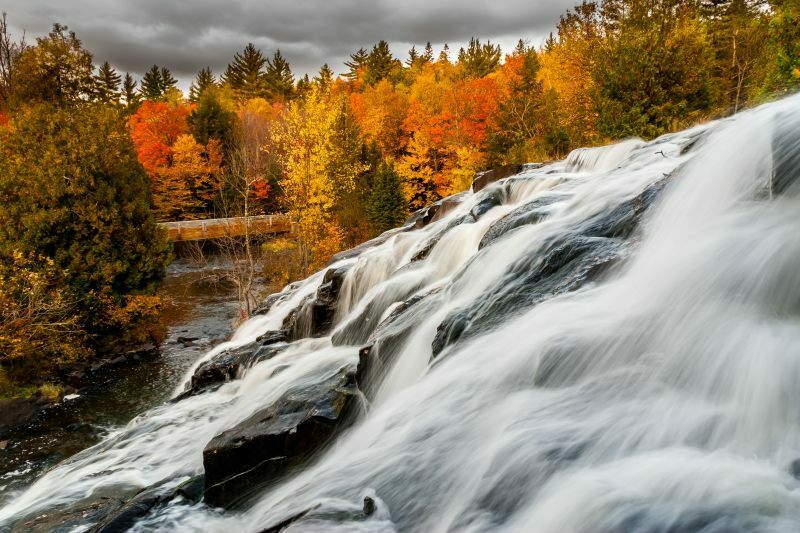 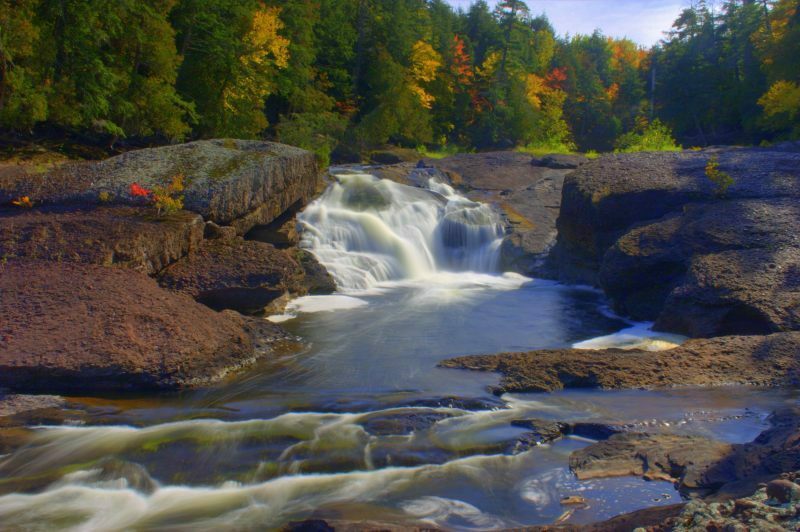 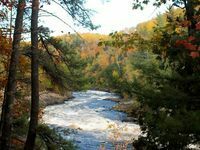 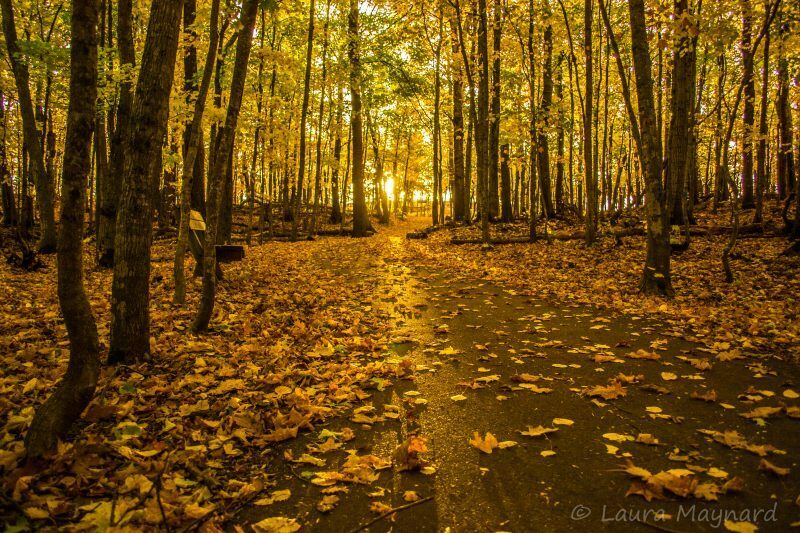 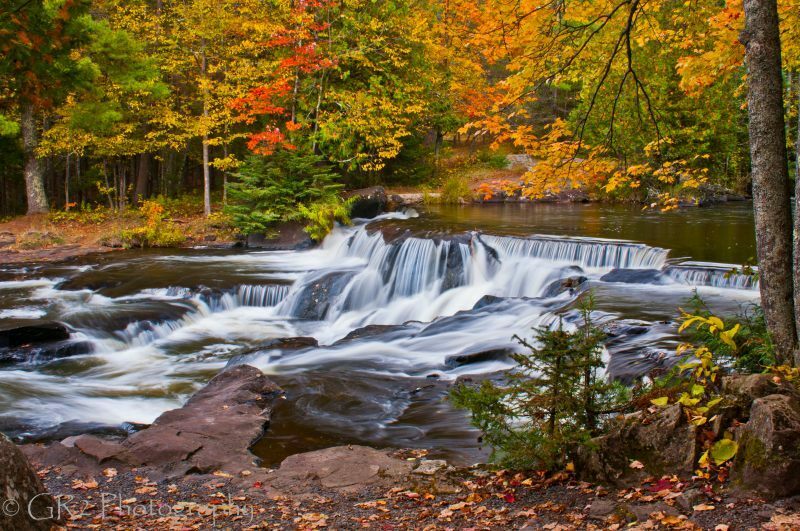 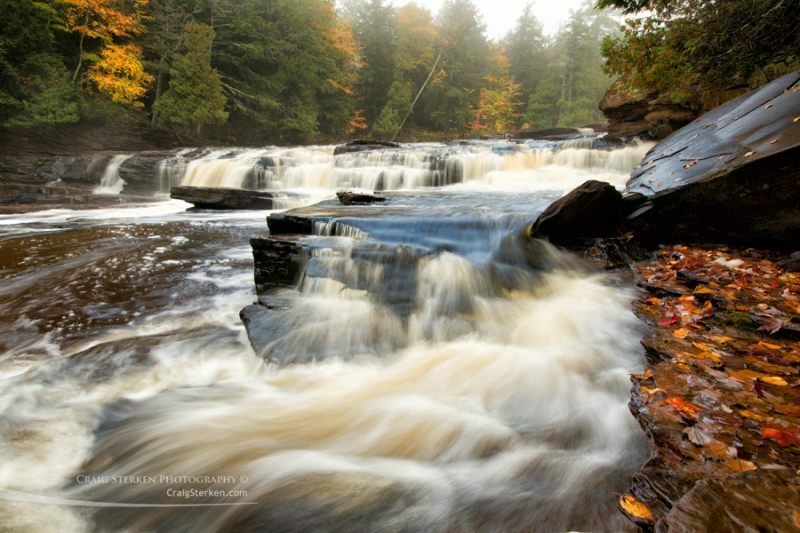 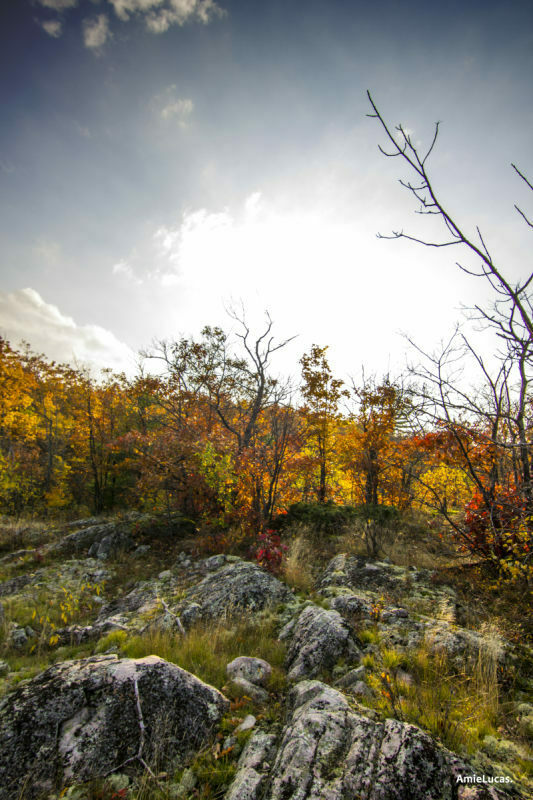 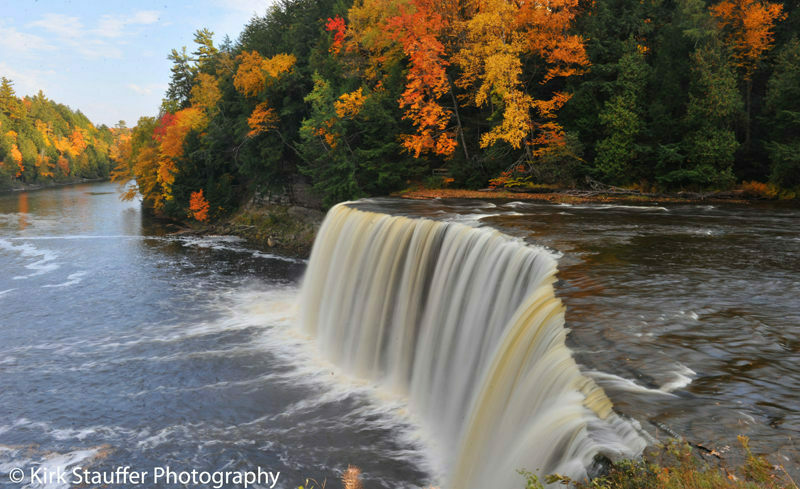 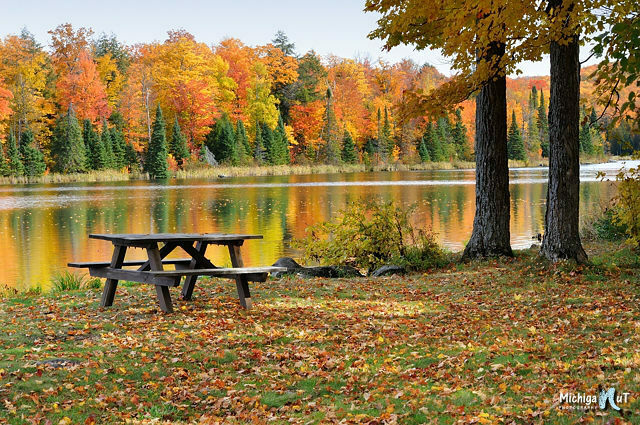 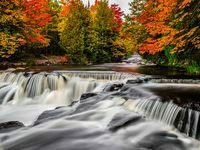 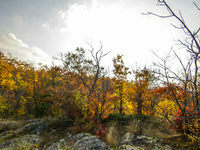 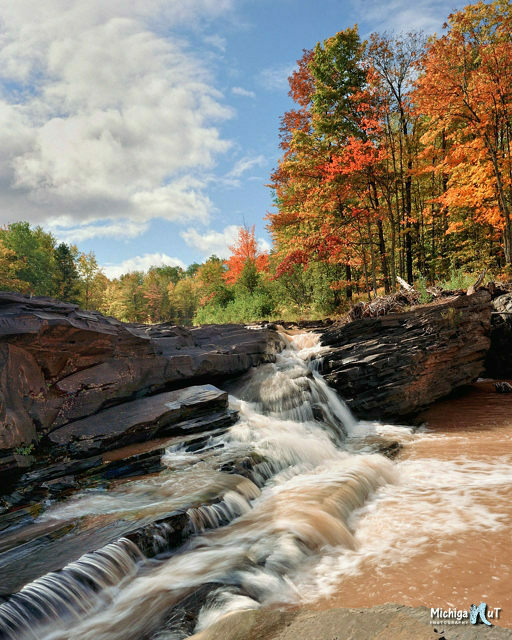 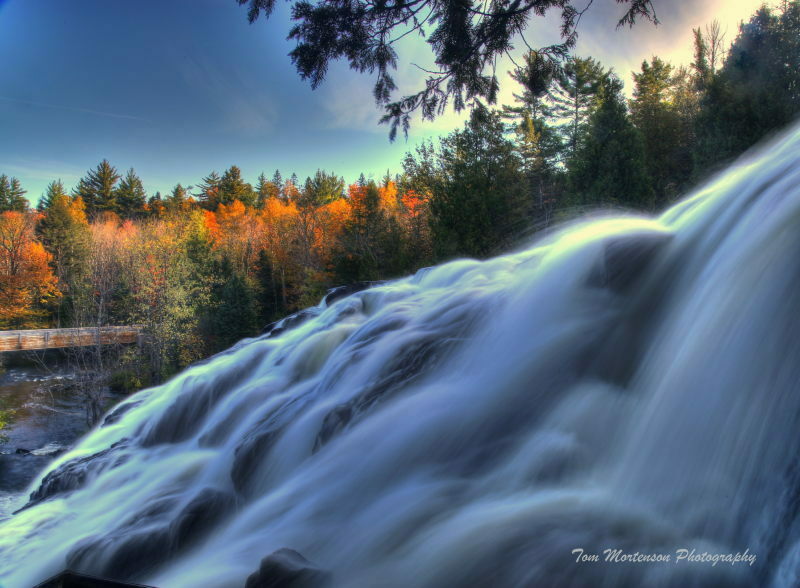 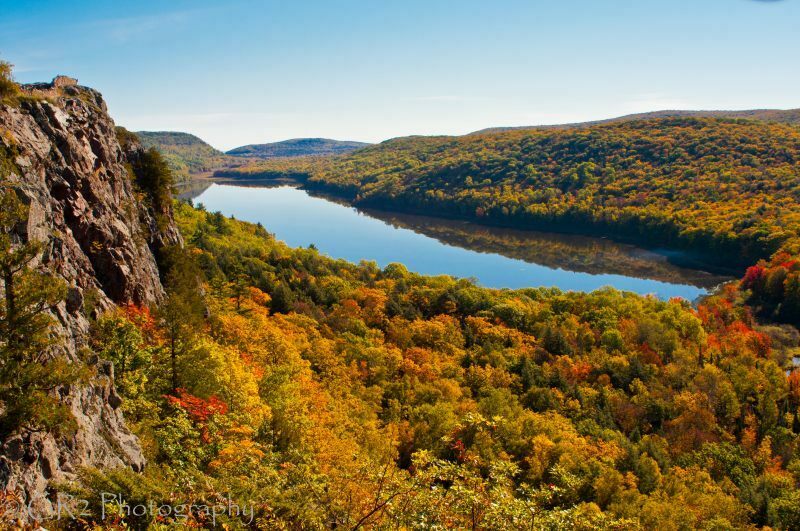 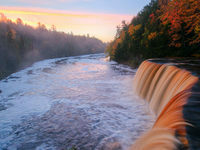 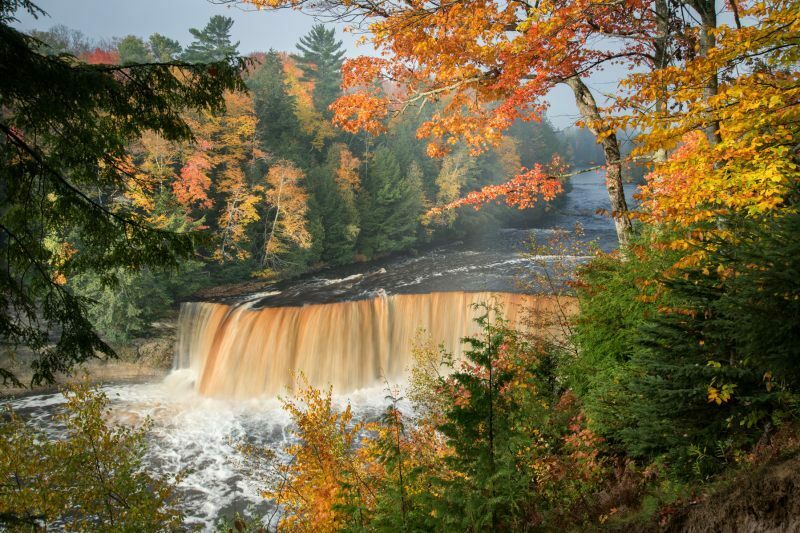 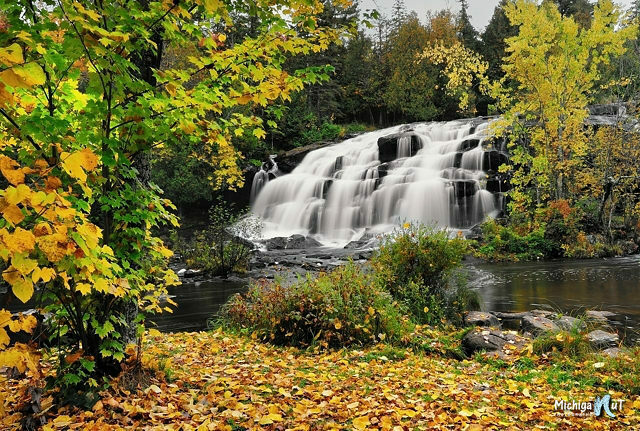 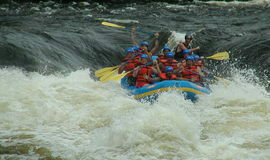 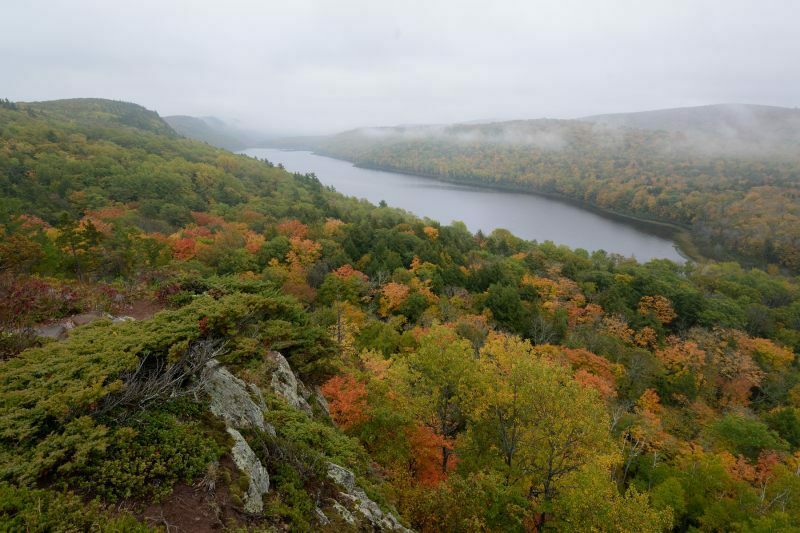 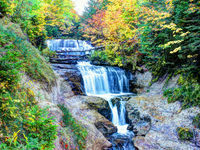 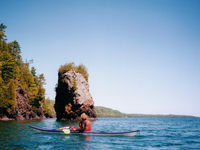 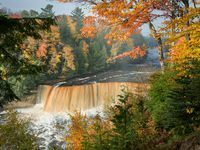 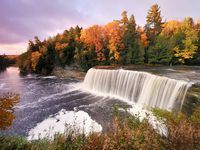 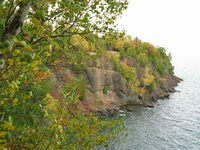 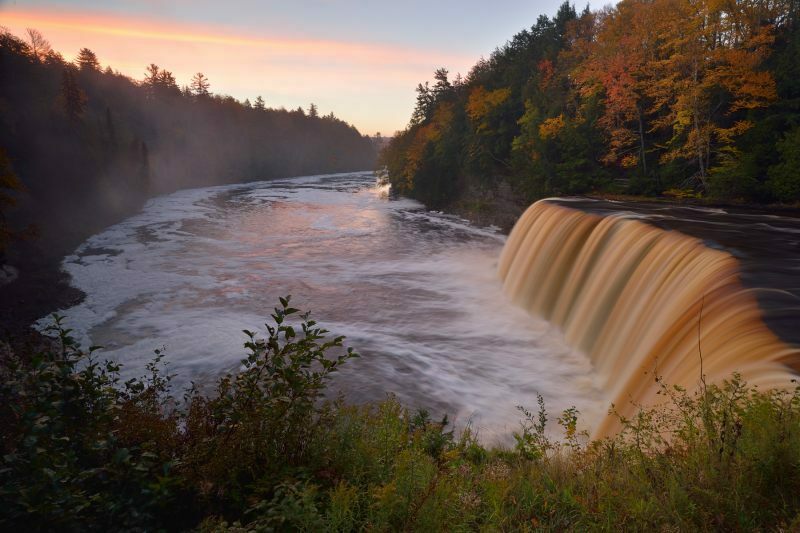 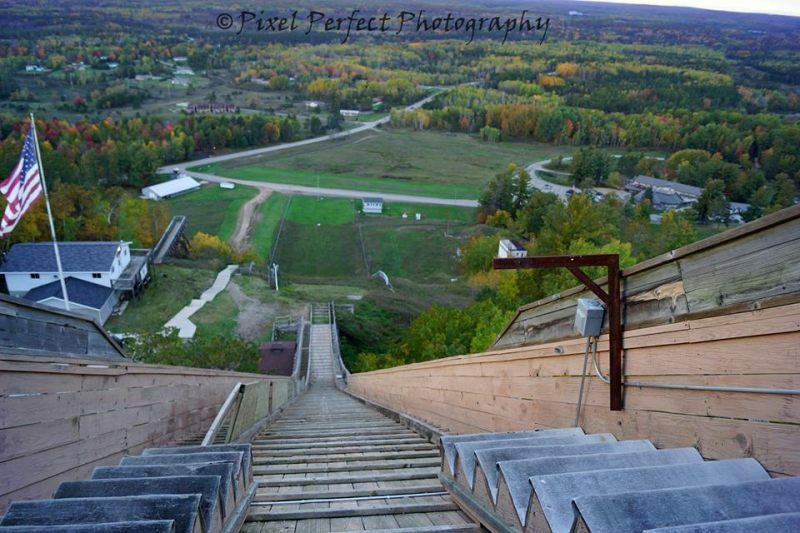 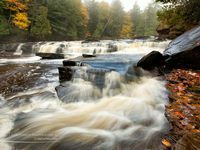 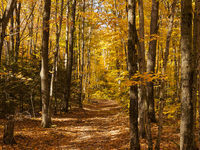 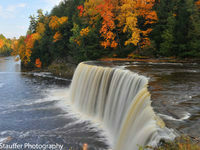 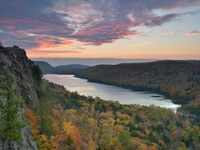 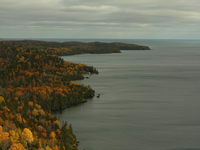 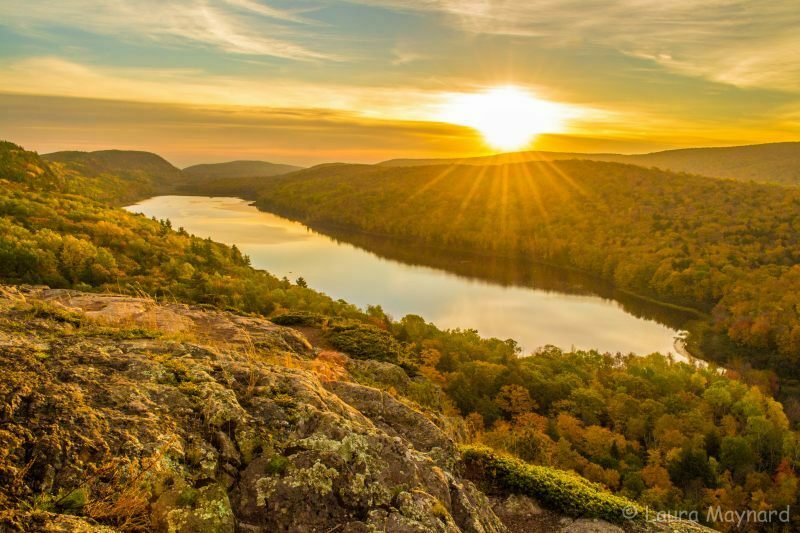 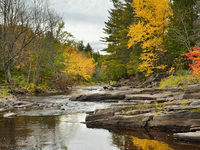 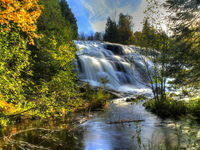 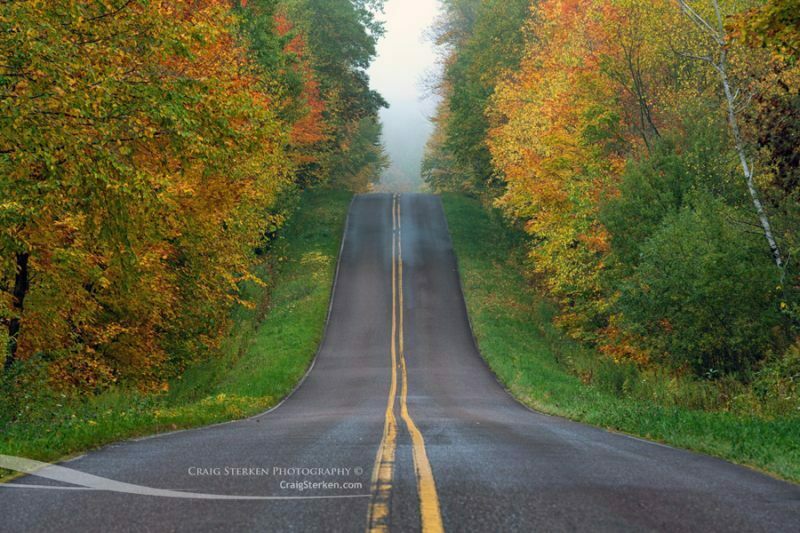 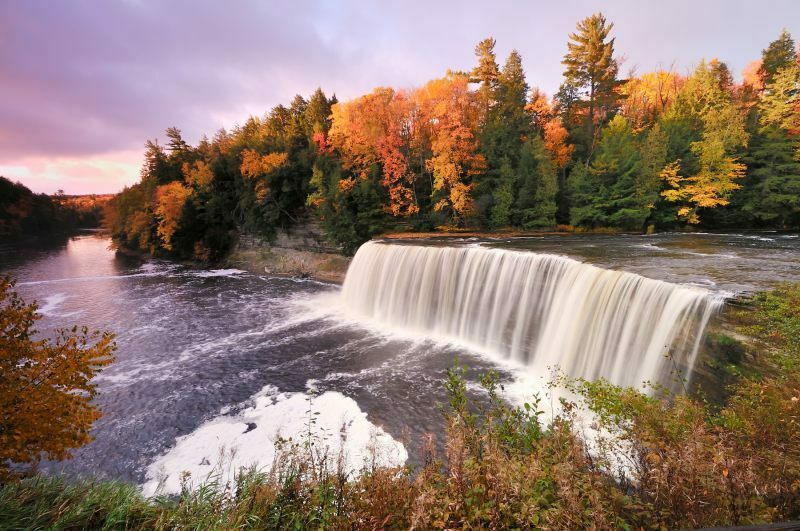 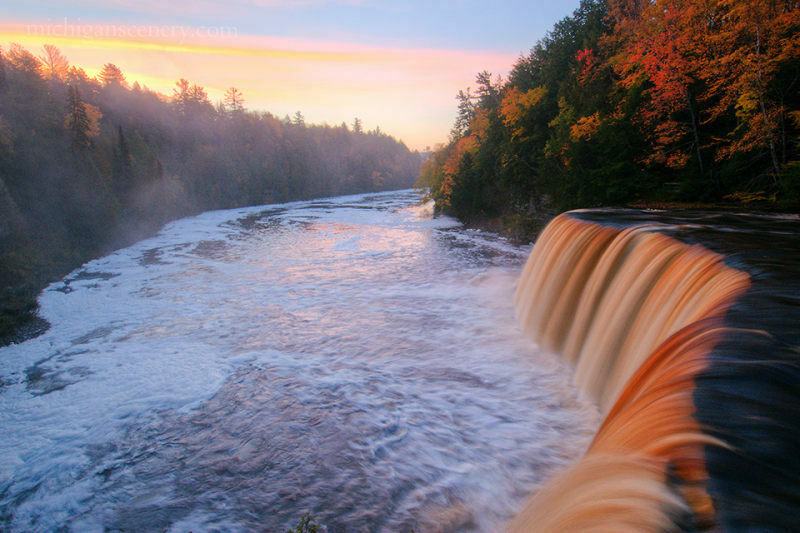 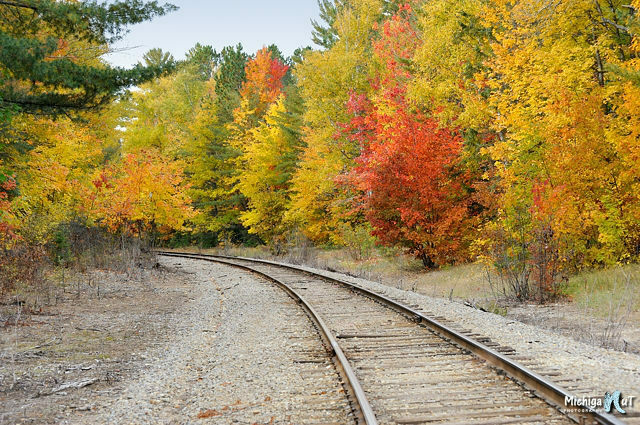 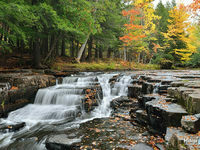 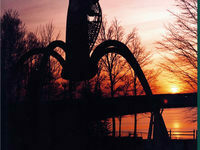 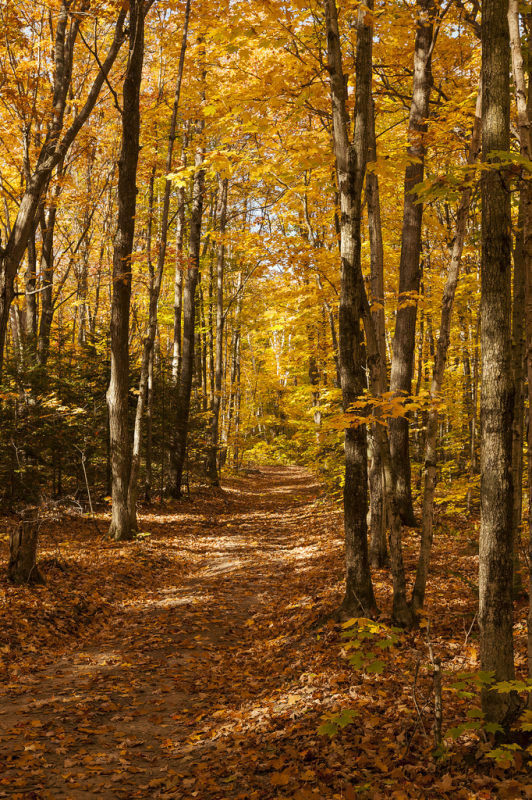 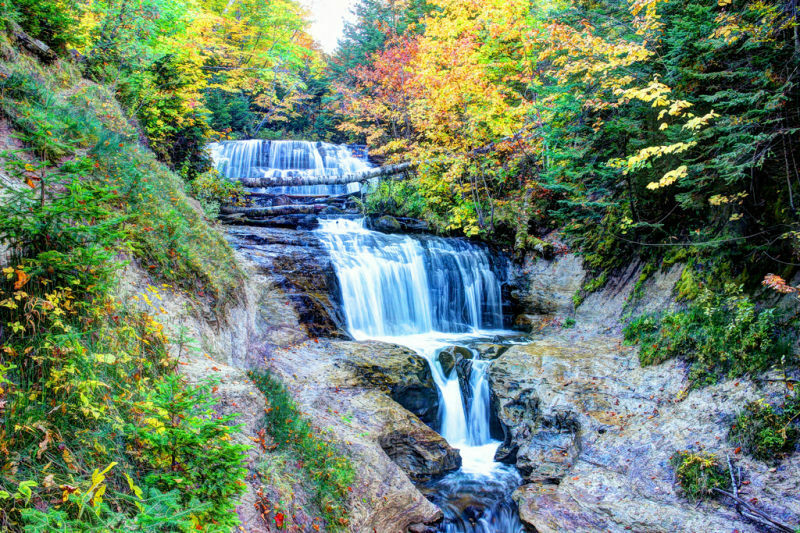 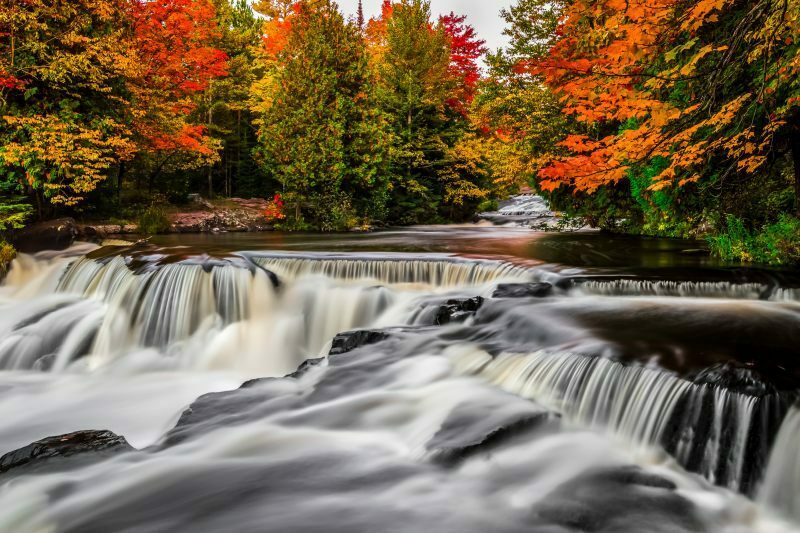 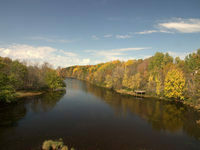 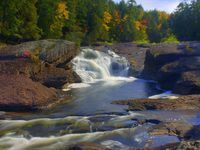 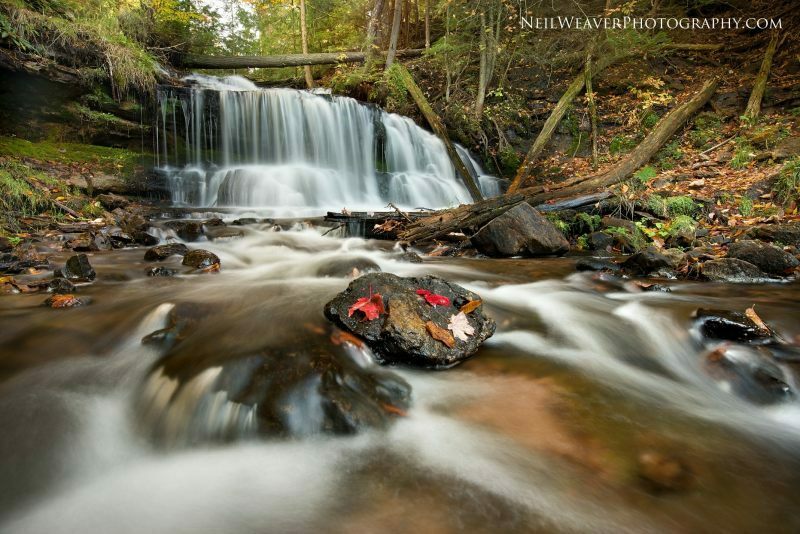 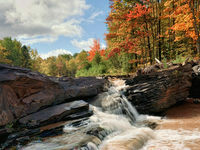 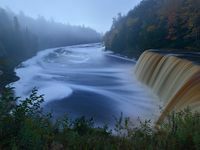 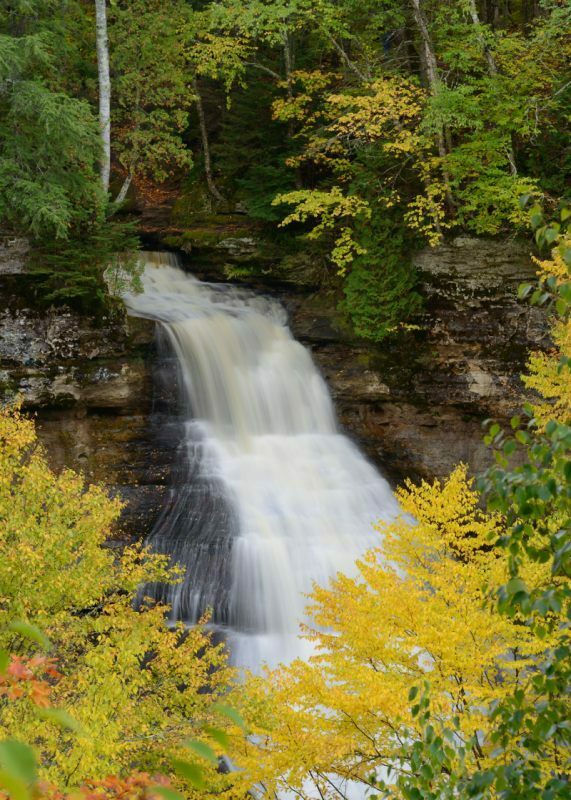 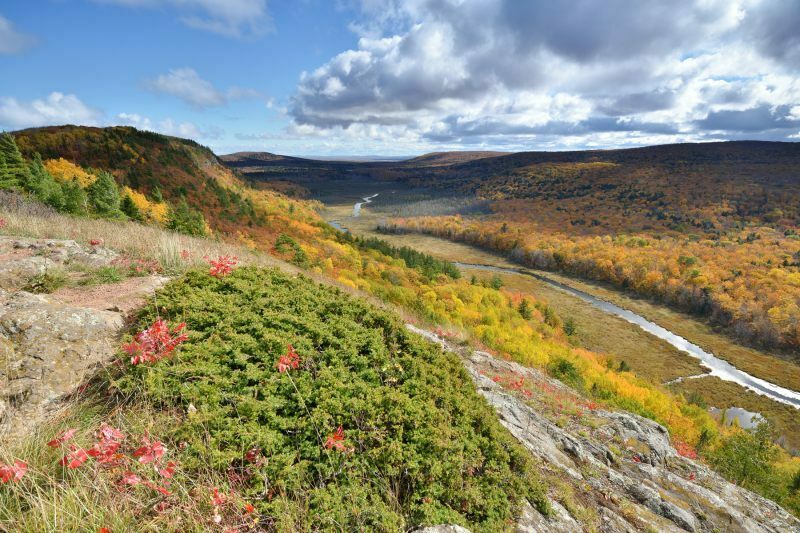 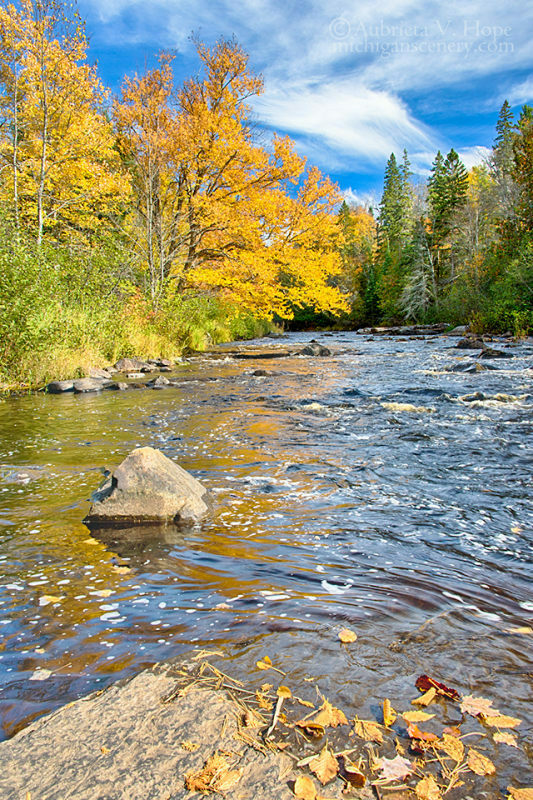 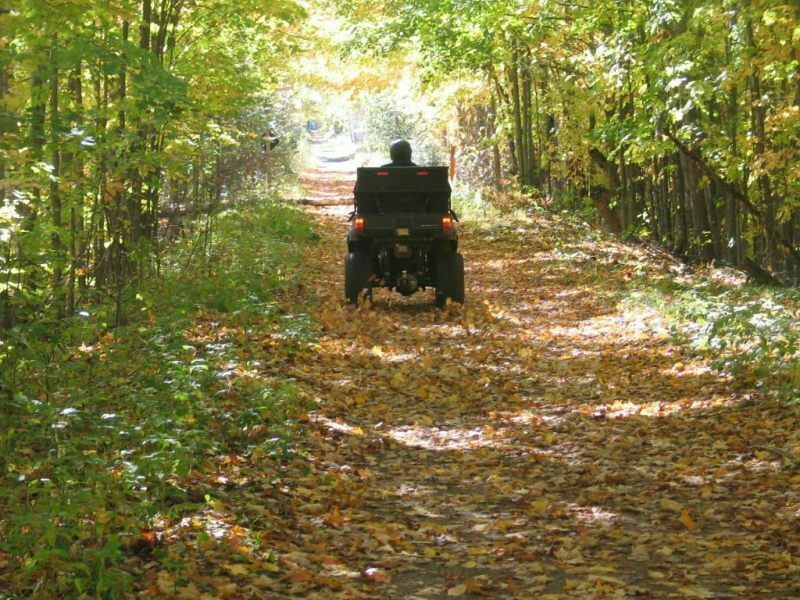 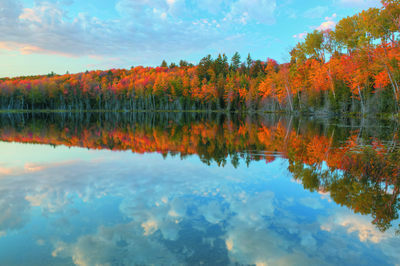 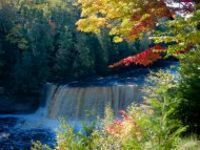 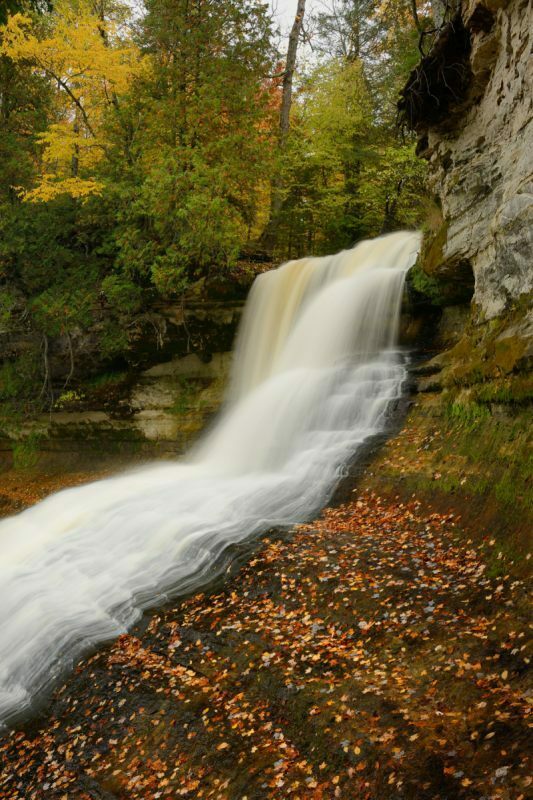 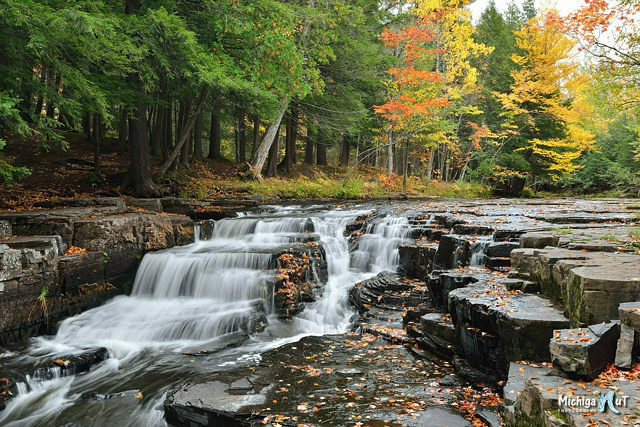 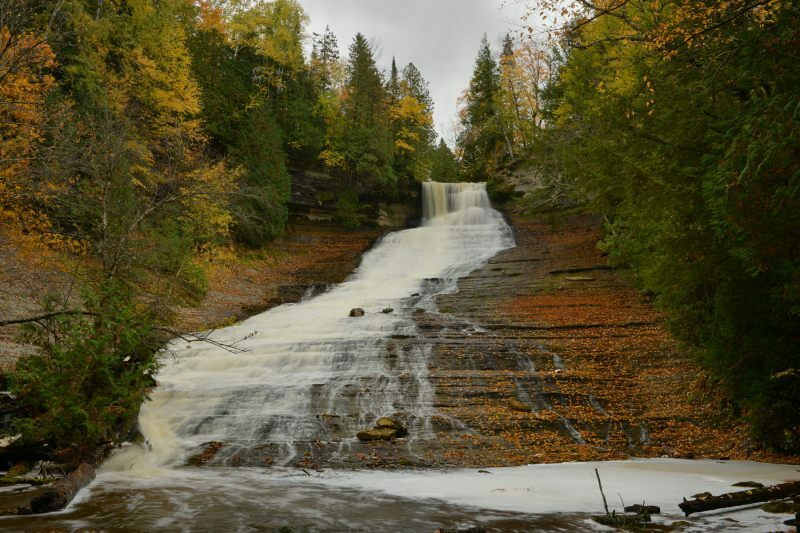 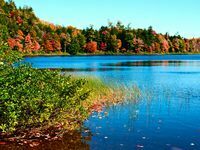 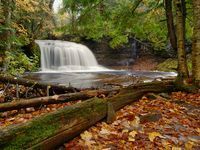 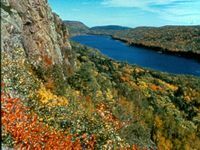 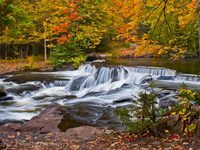 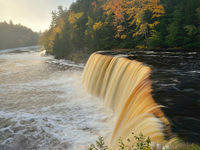 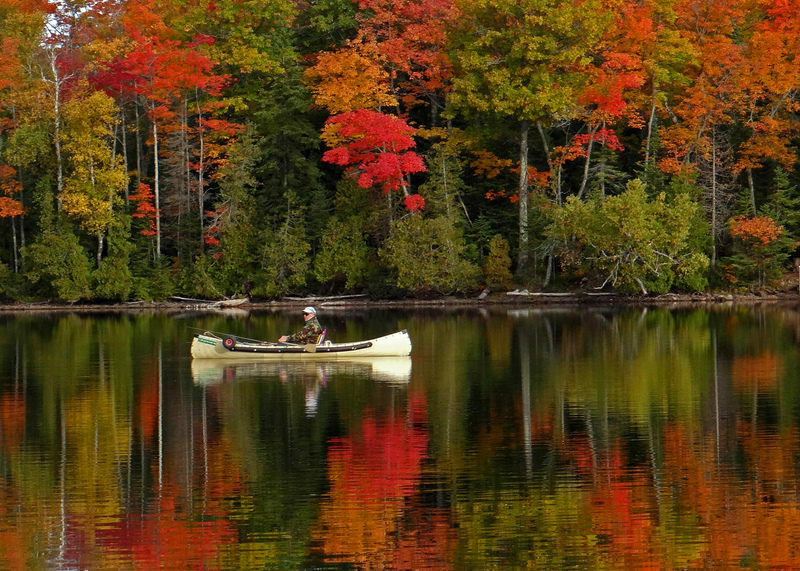 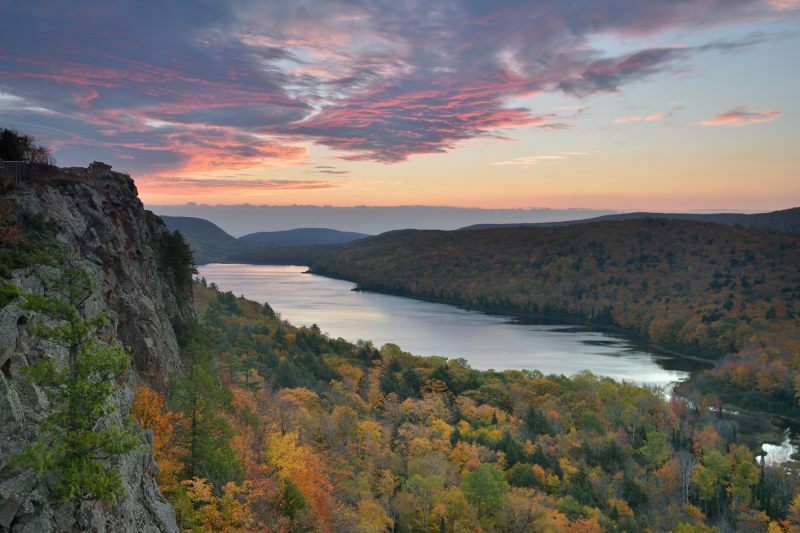 Hiking, biking, kayaking and canoeing are great ways to see fall’s intense beauty. 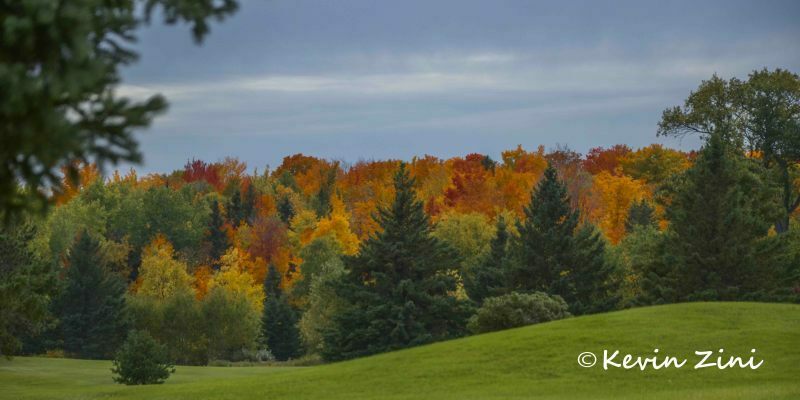 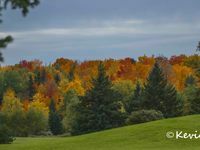 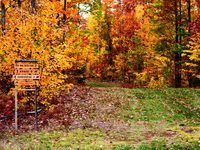 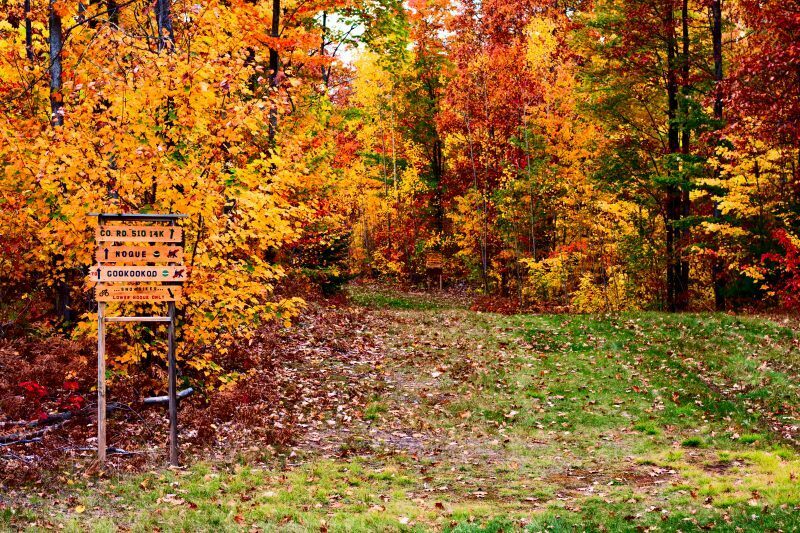 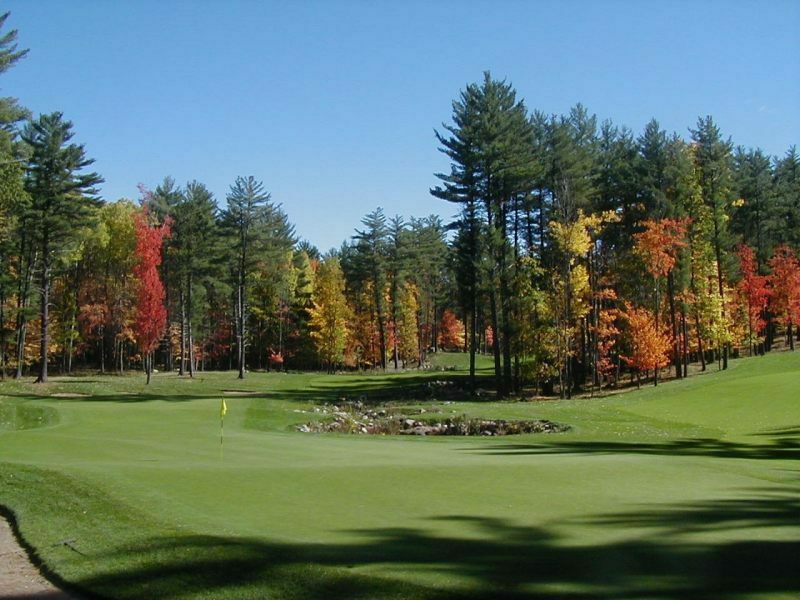 Even golf courses offer spectacular autumn vistas. 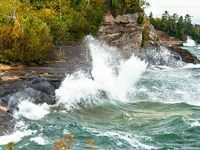 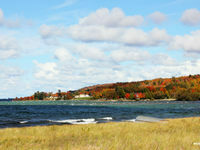 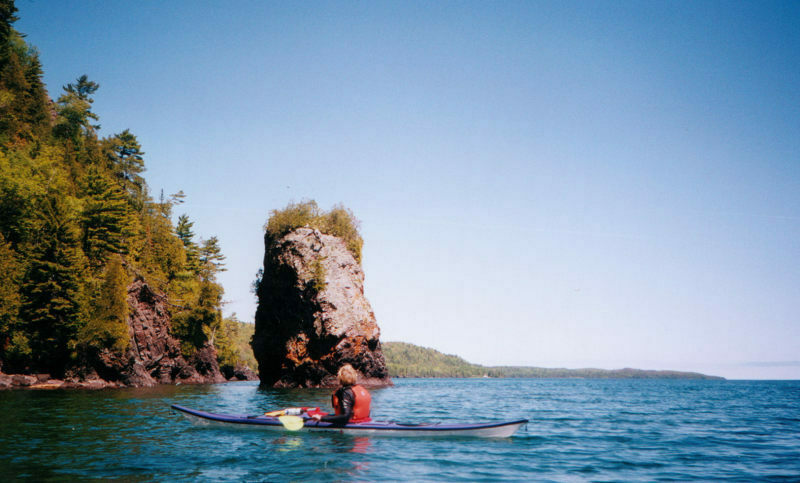 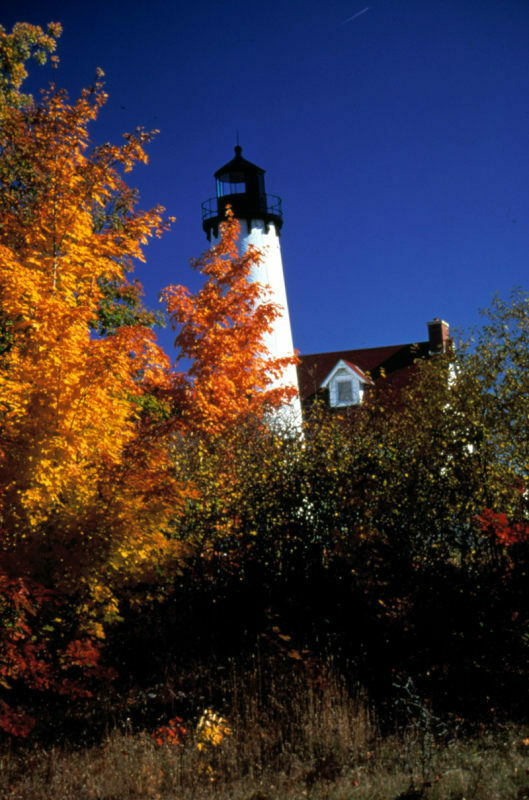 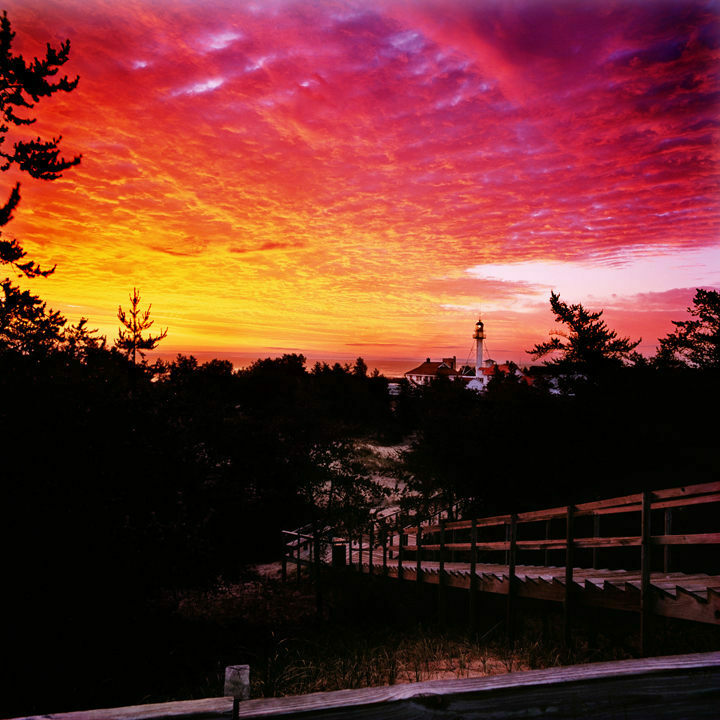 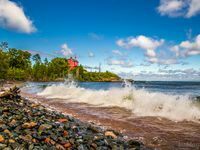 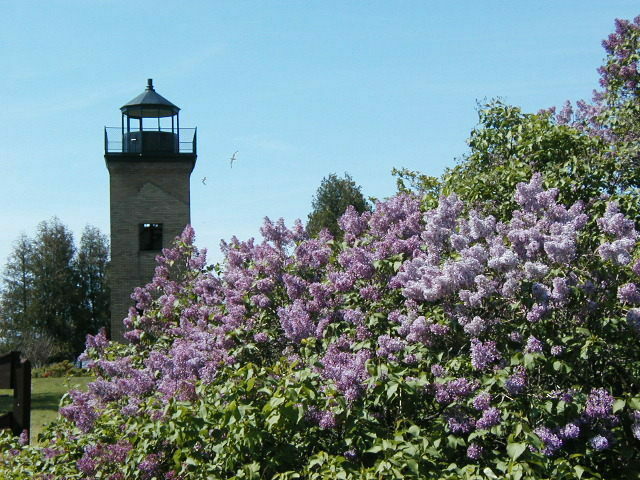 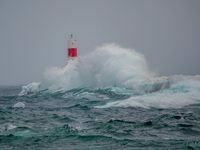 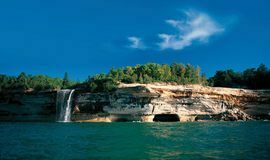 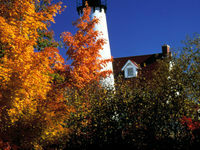 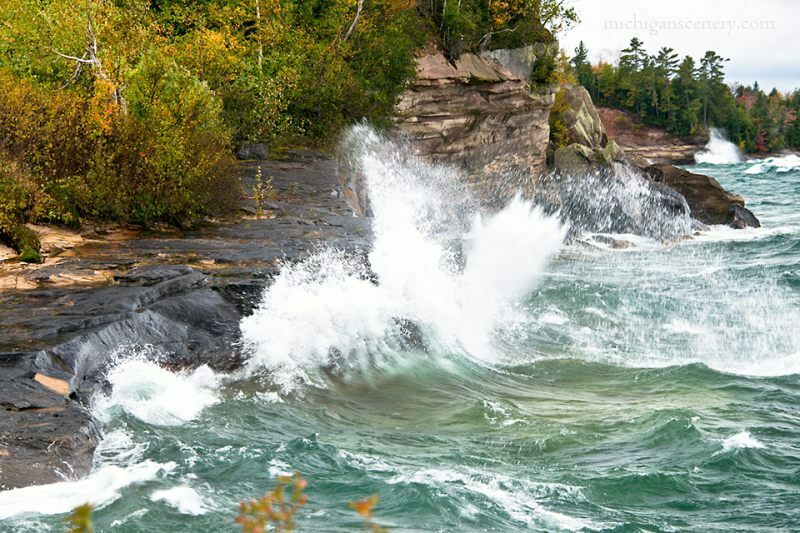 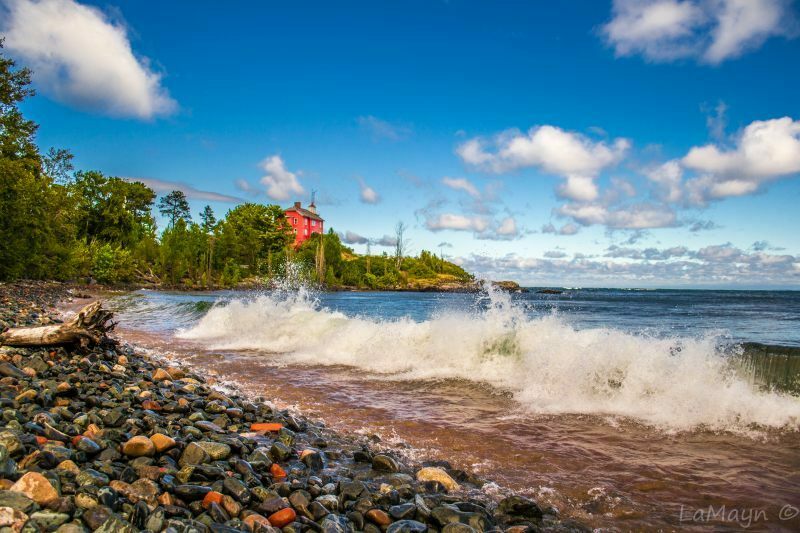 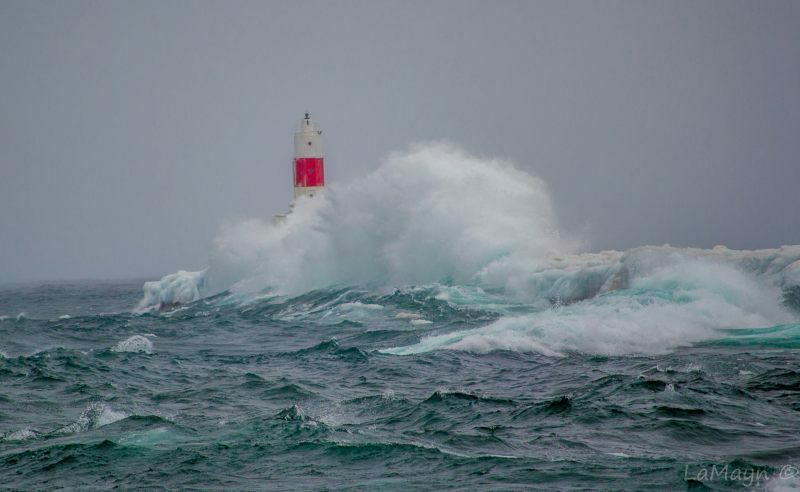 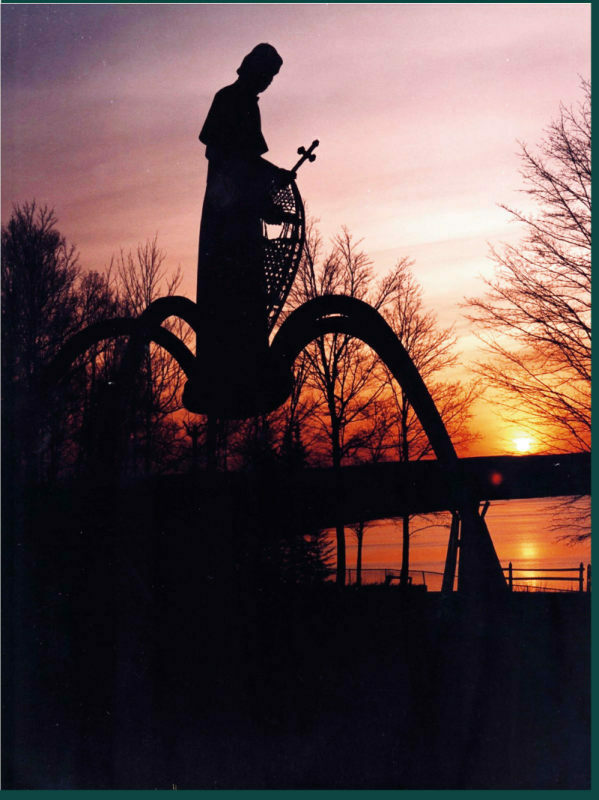 This is a great time to visit the U.P.’s more than 40 lighthouses. 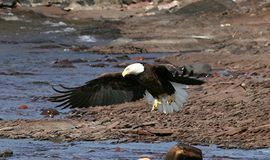 Bring your binoculars for better views of the thousands of songbirds, raptors and waterfowl winging their way south on ancient flight paths. 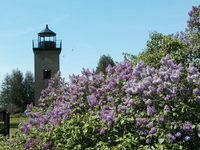 The Garden and Stonington Peninsulas are great for seeing migrating monarch butterflies, too. 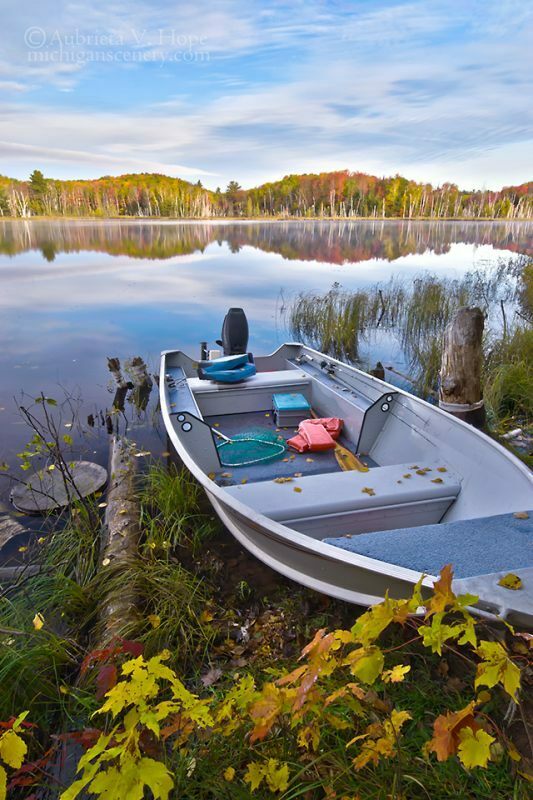 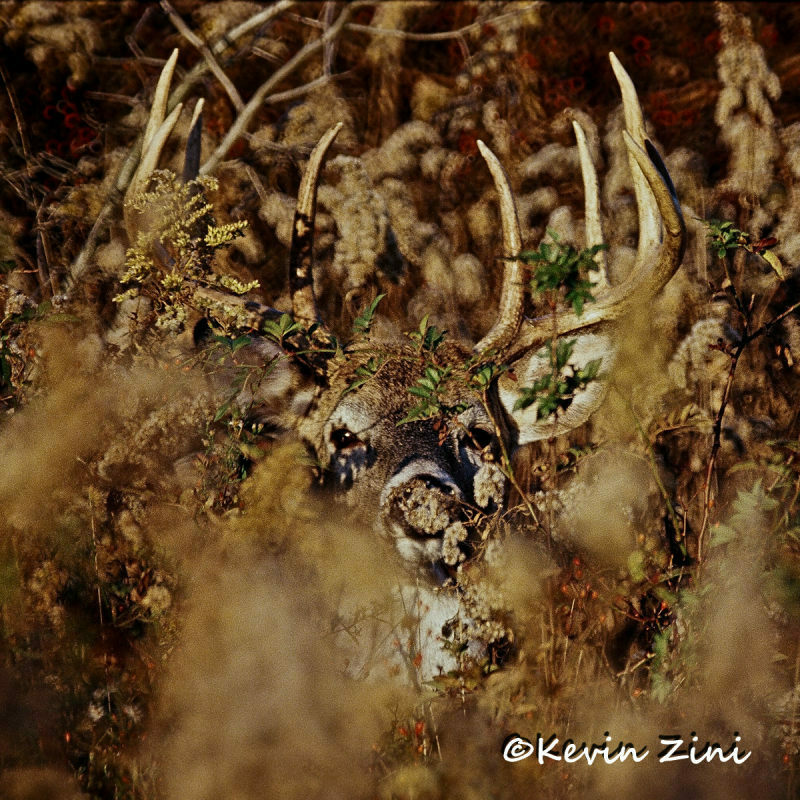 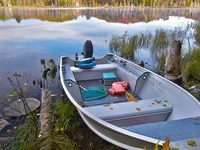 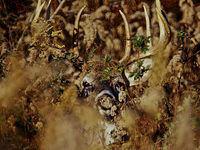 Anglers and hunters will thrill at bringing home fish, small and big game … and great stories. 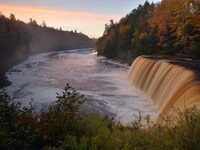 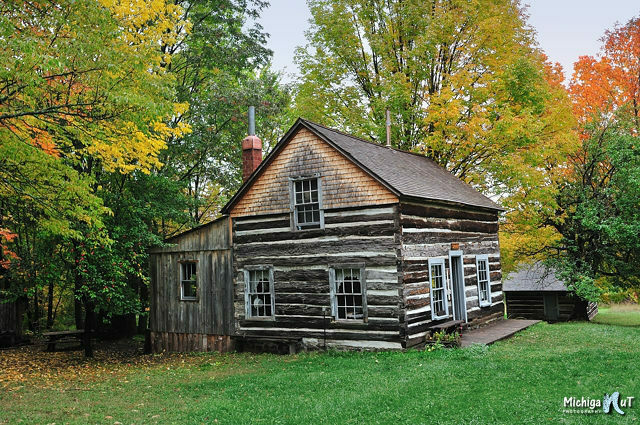 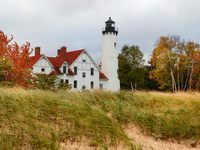 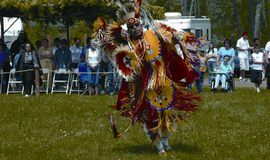 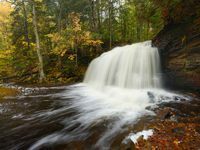 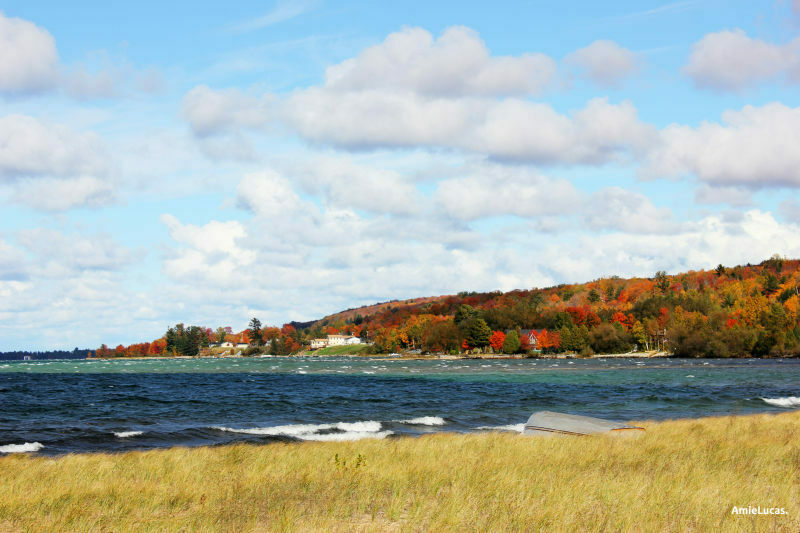 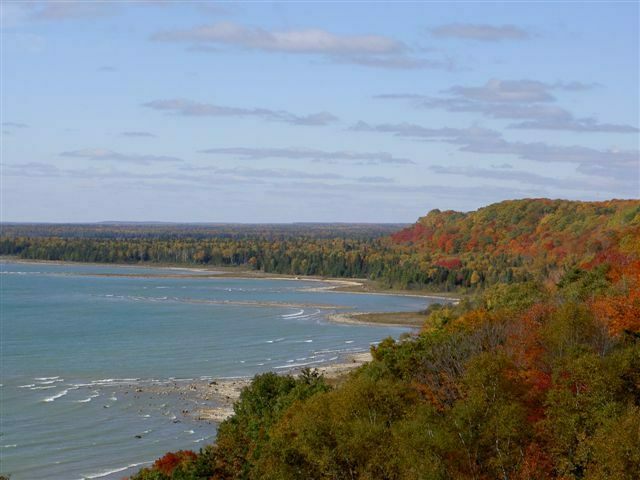 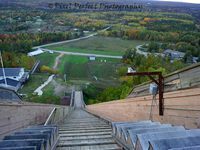 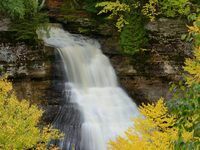 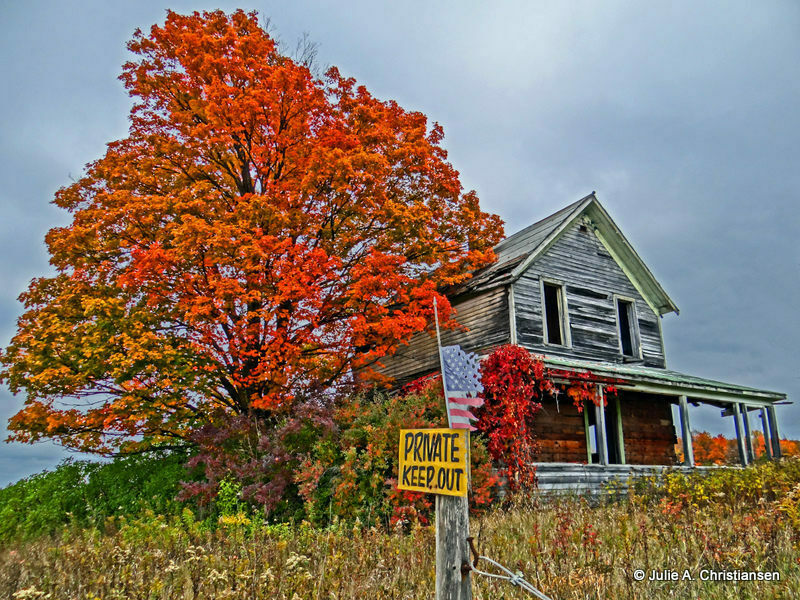 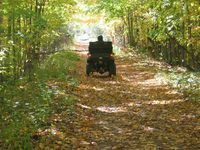 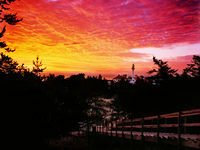 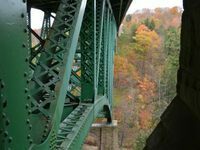 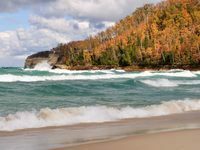 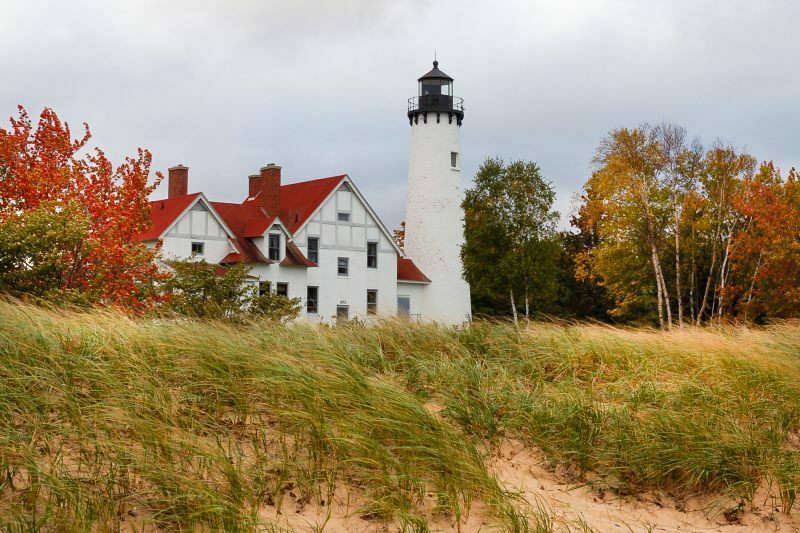 Others enjoy gathering up fresh produce and thimbleberry jams at roadside stands or raising glasses of Michigan-made wines and microbrews with friends.